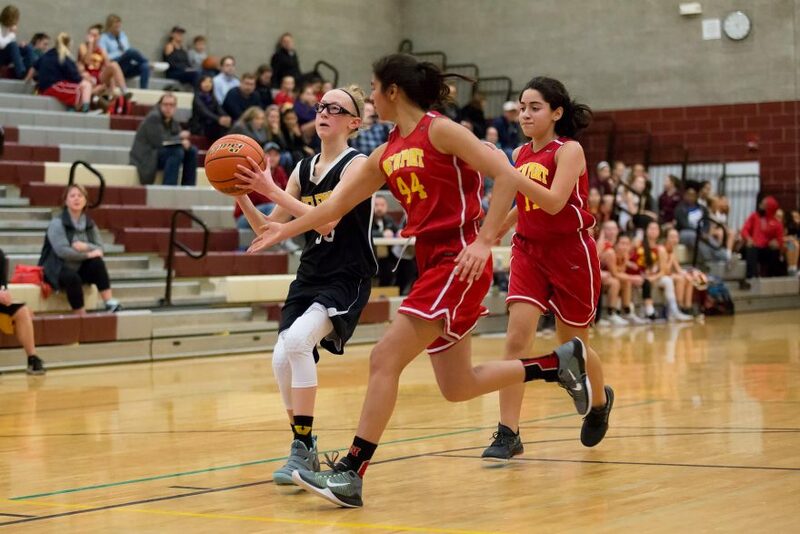 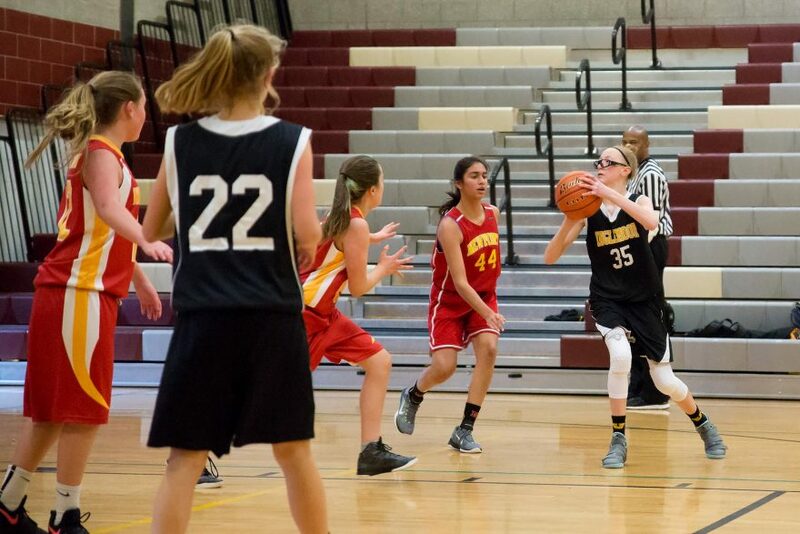 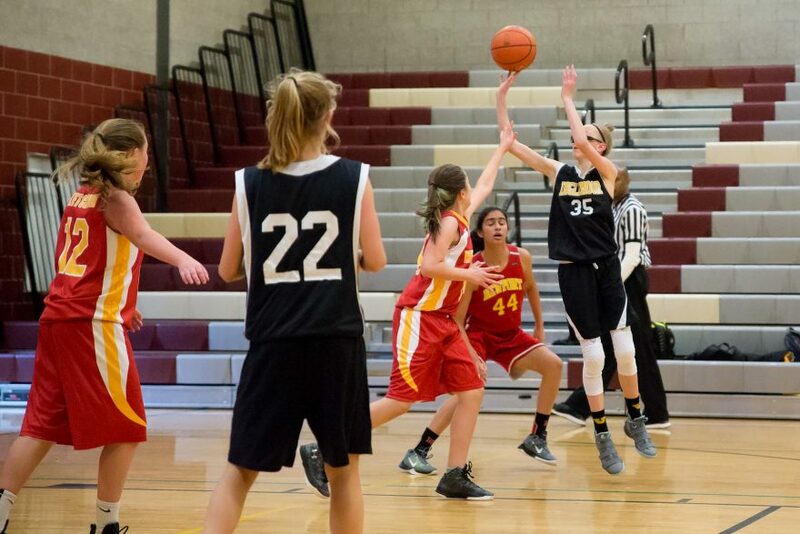 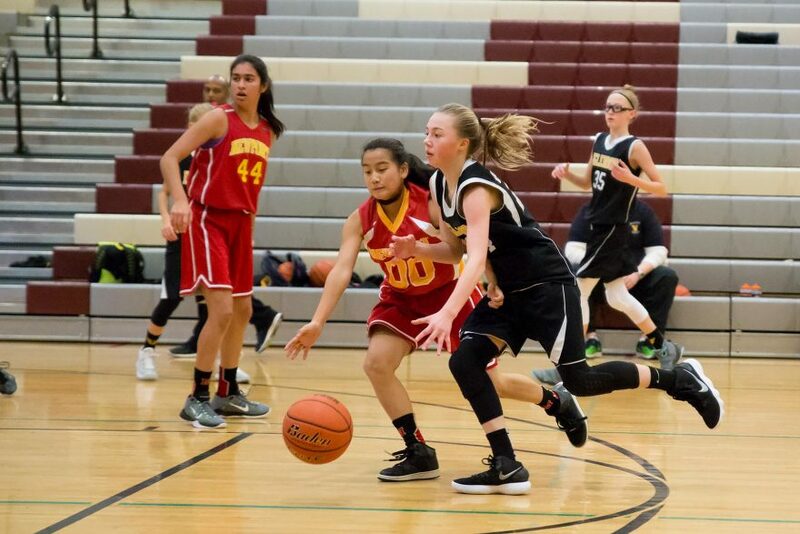 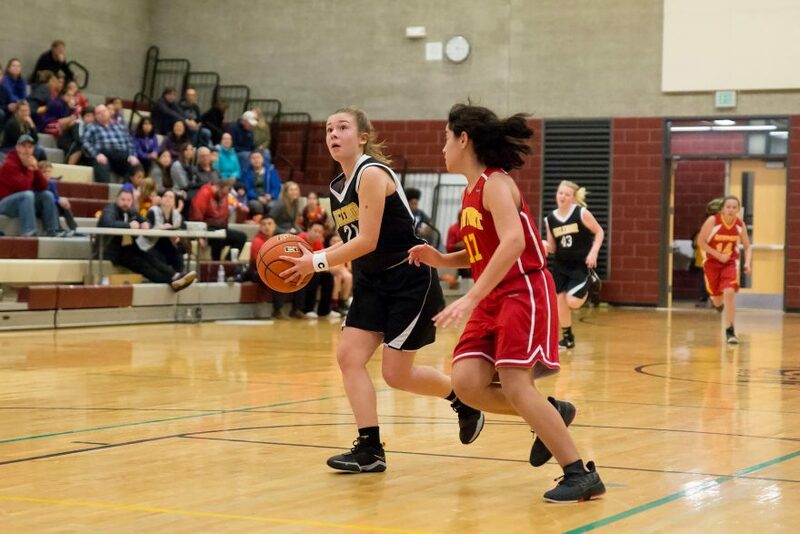 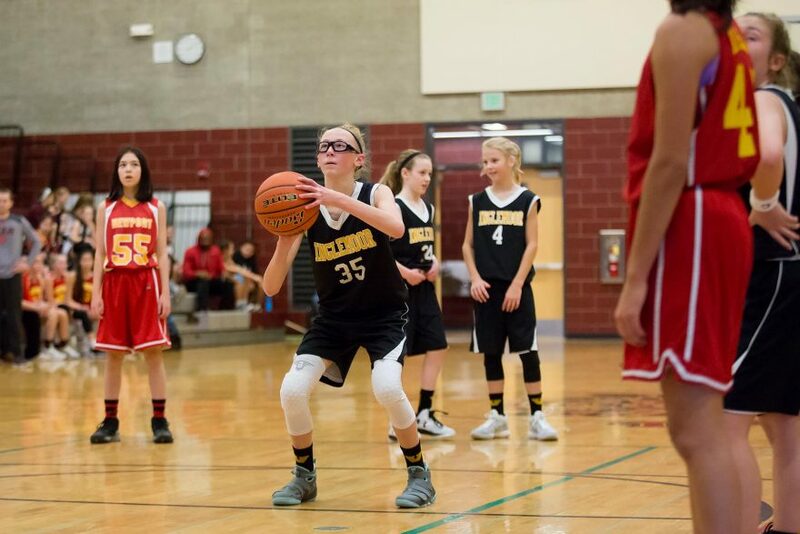 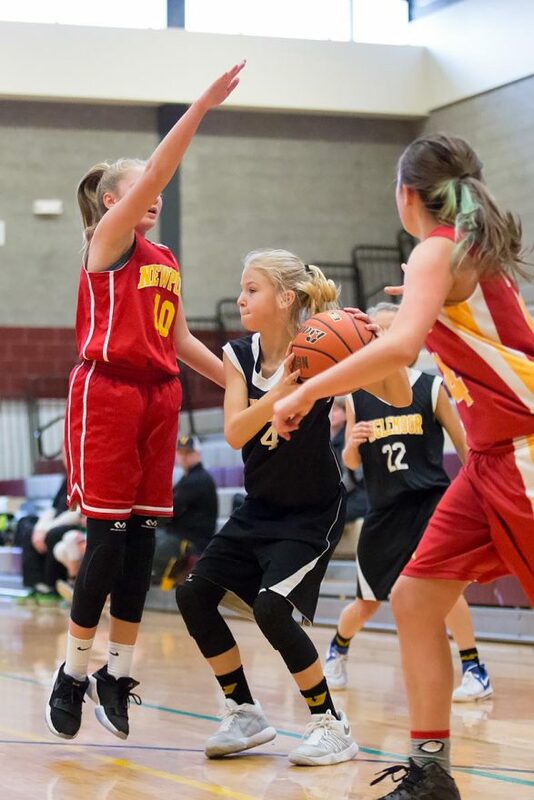 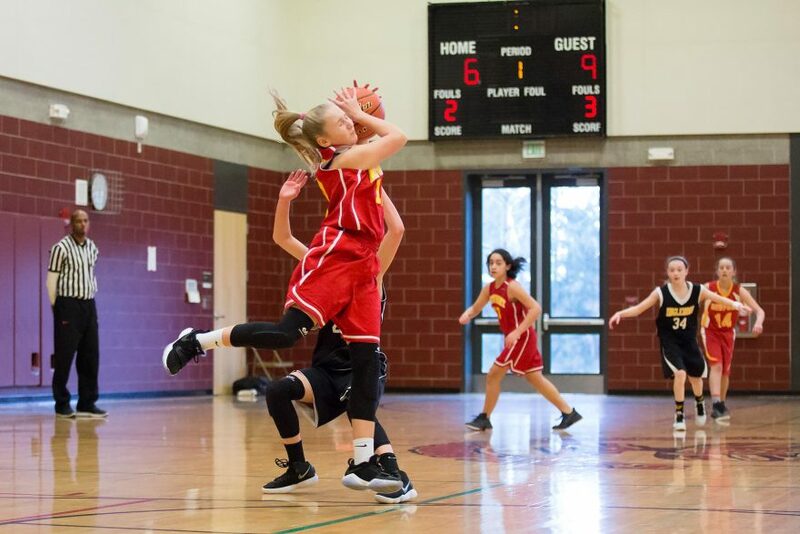 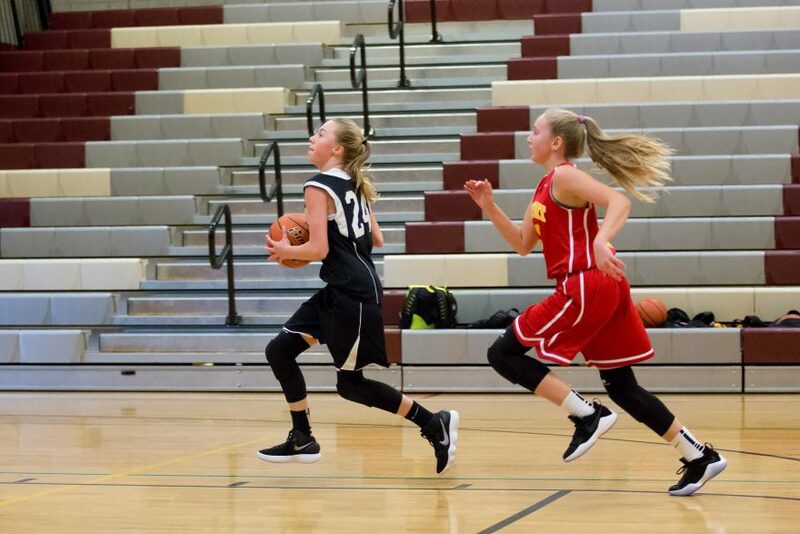 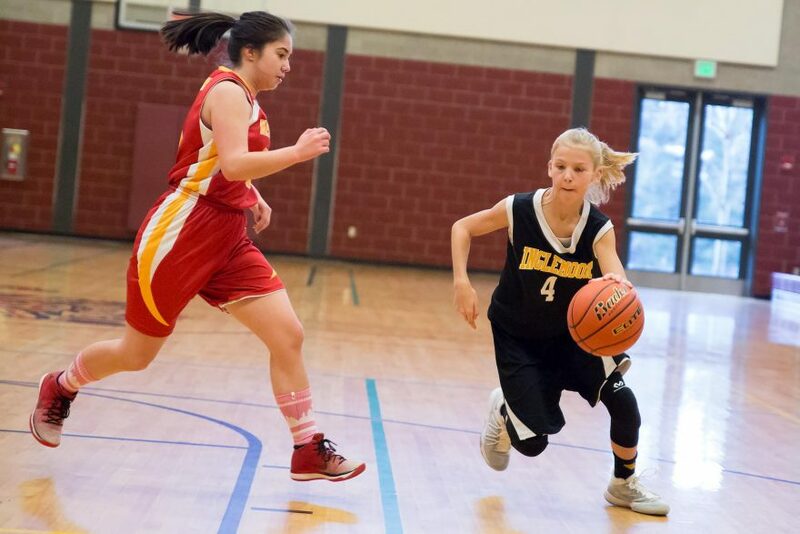 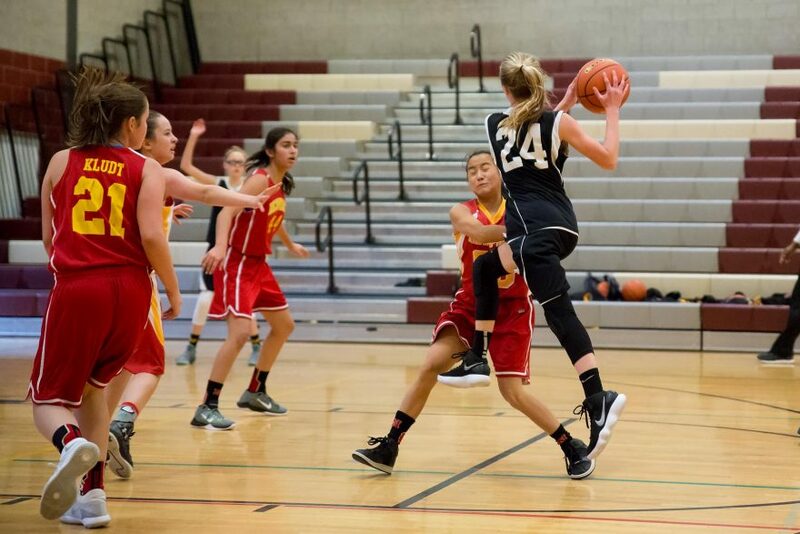 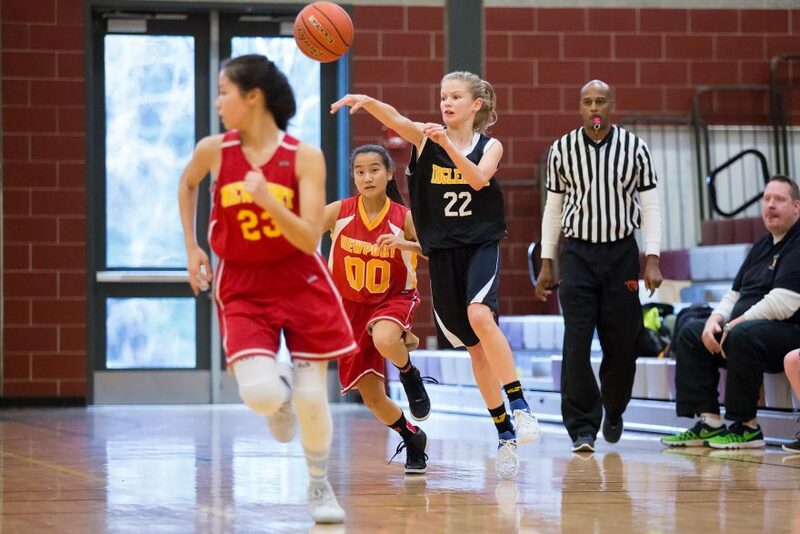 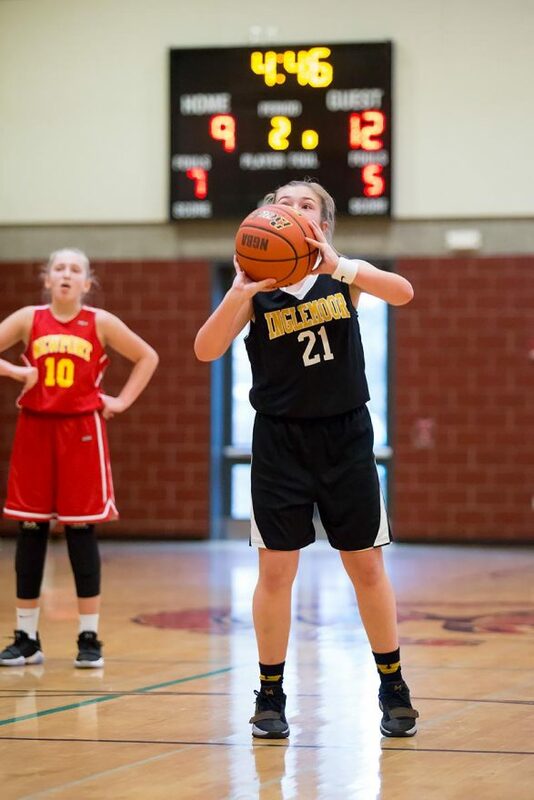 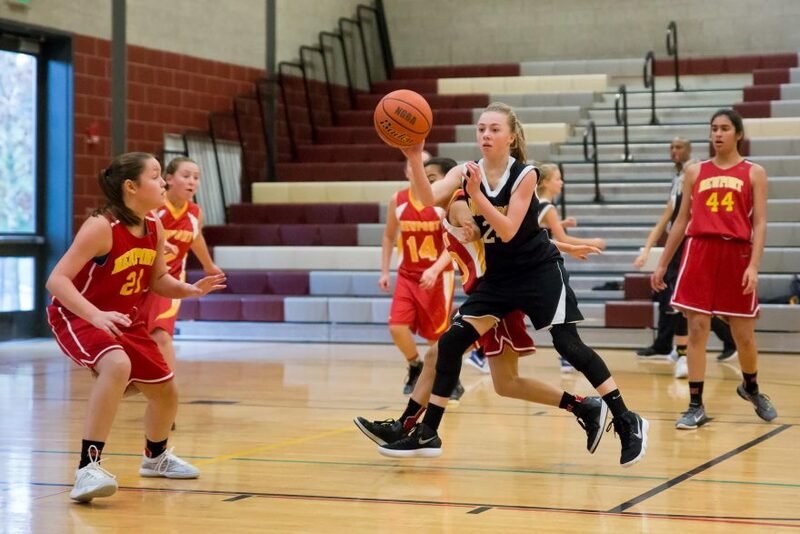 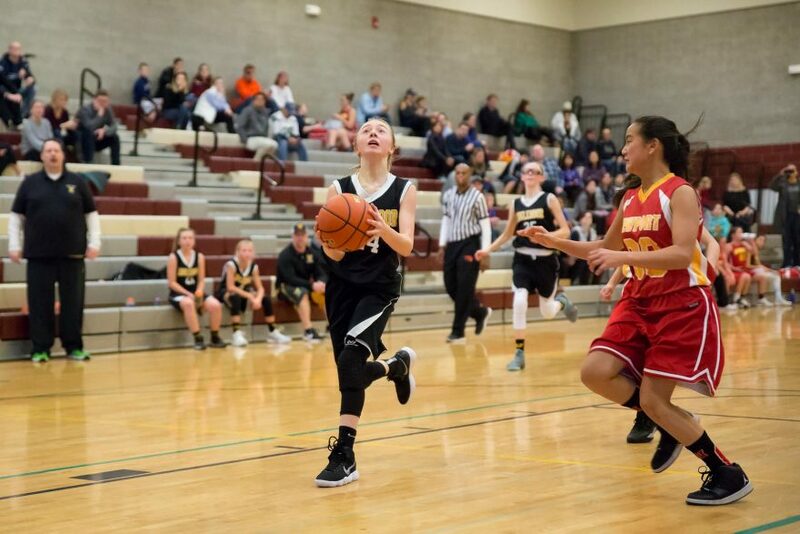 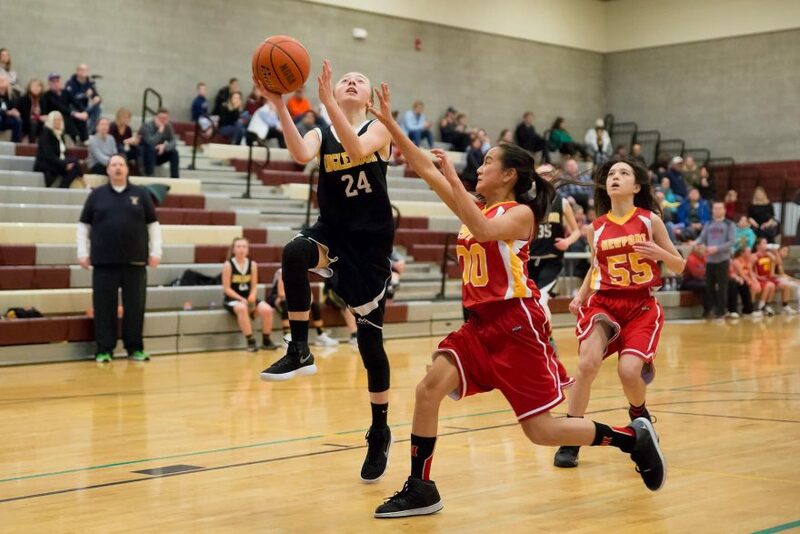 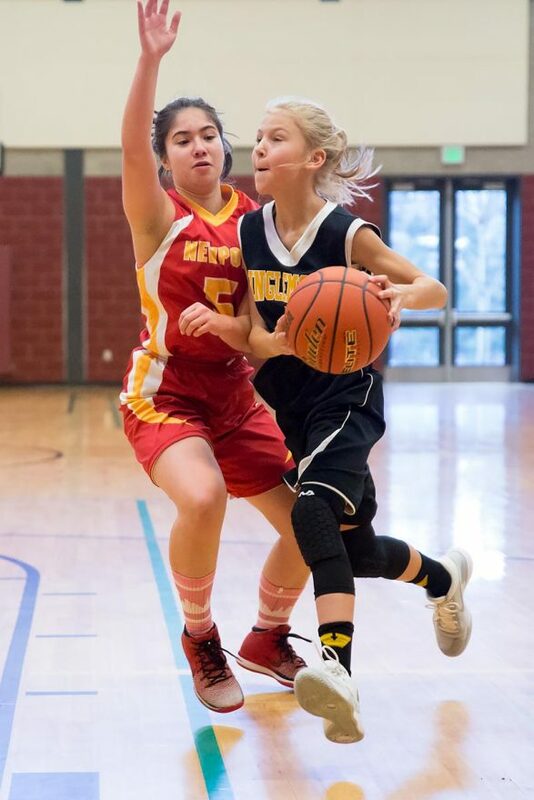 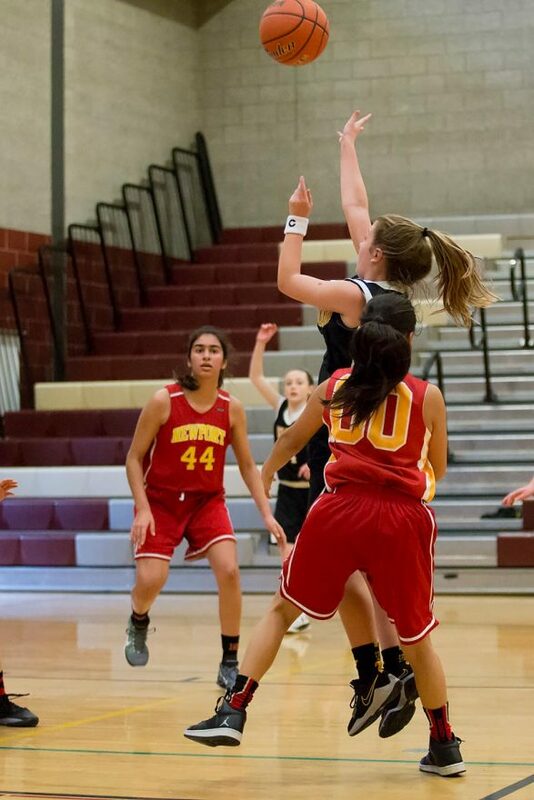 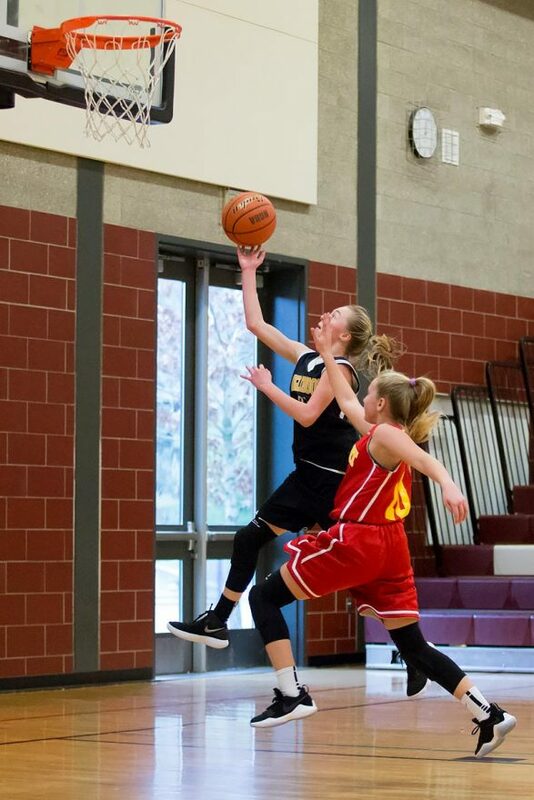 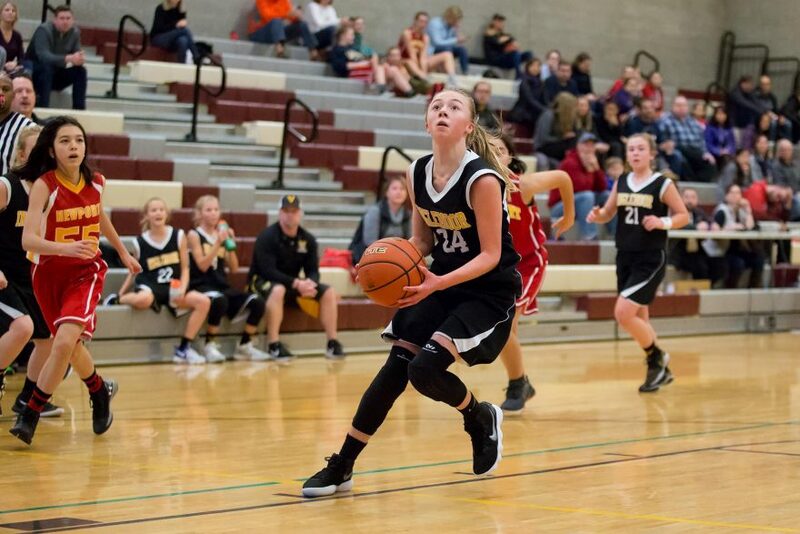 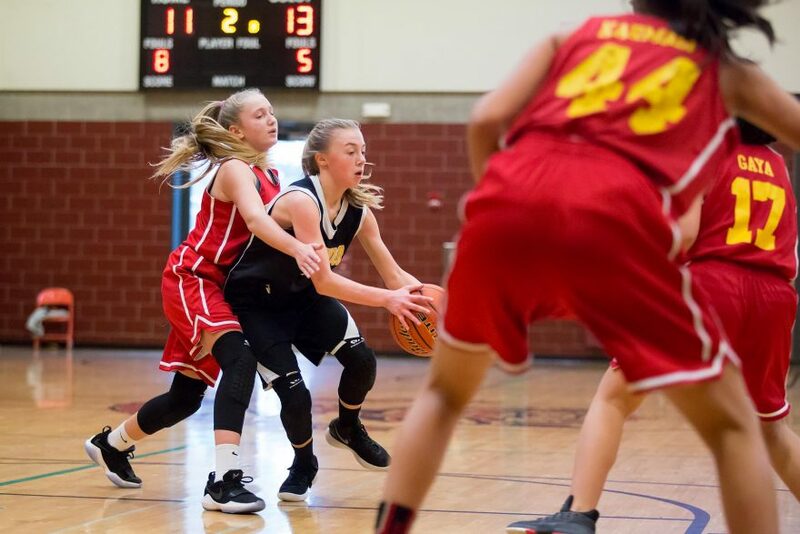 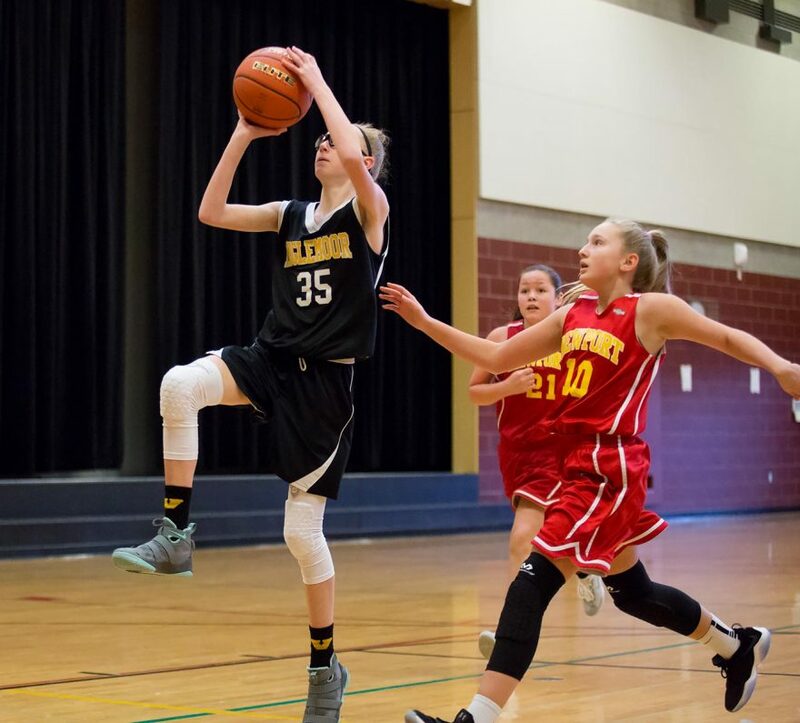 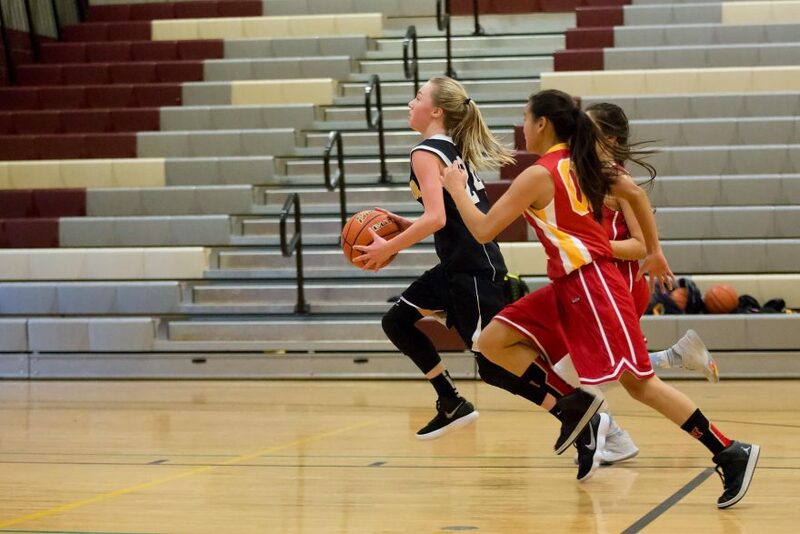 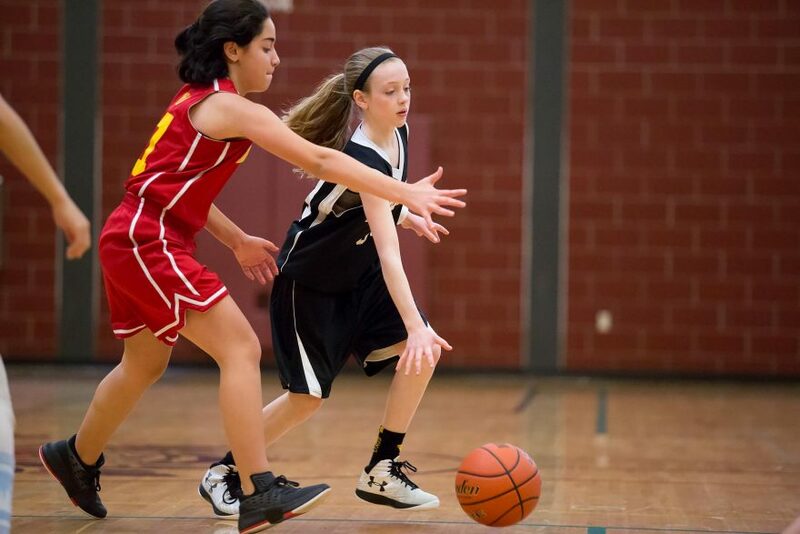 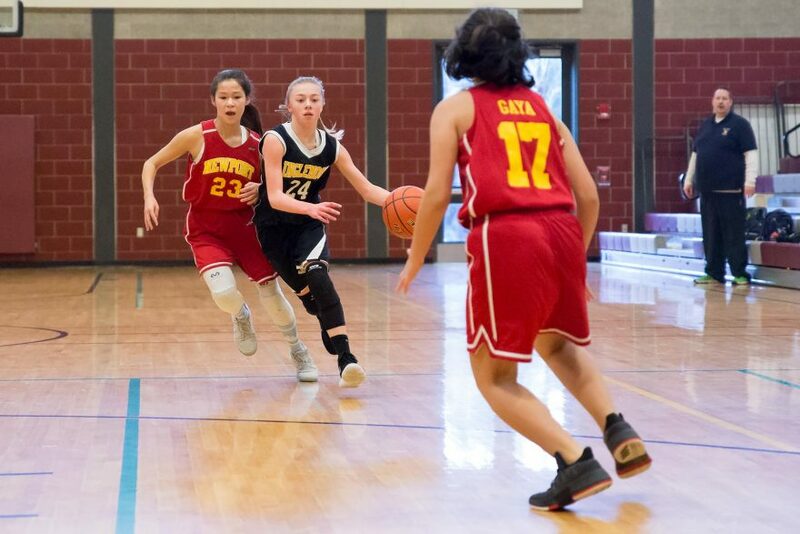 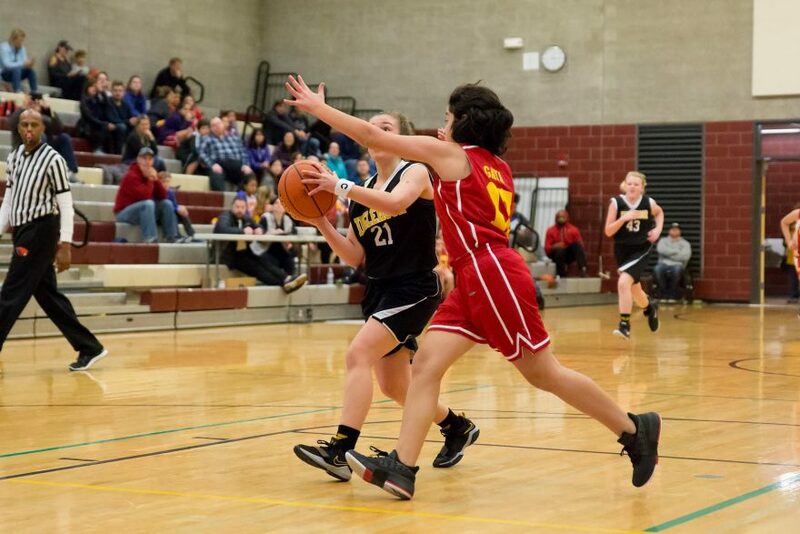 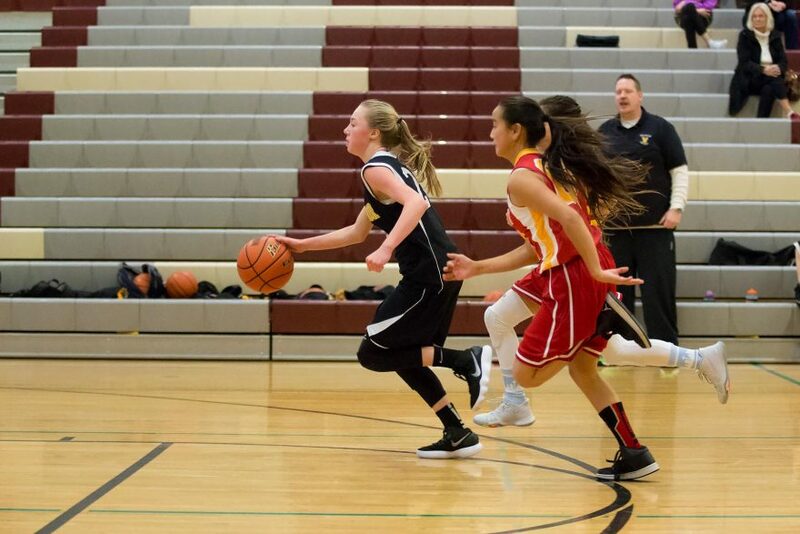 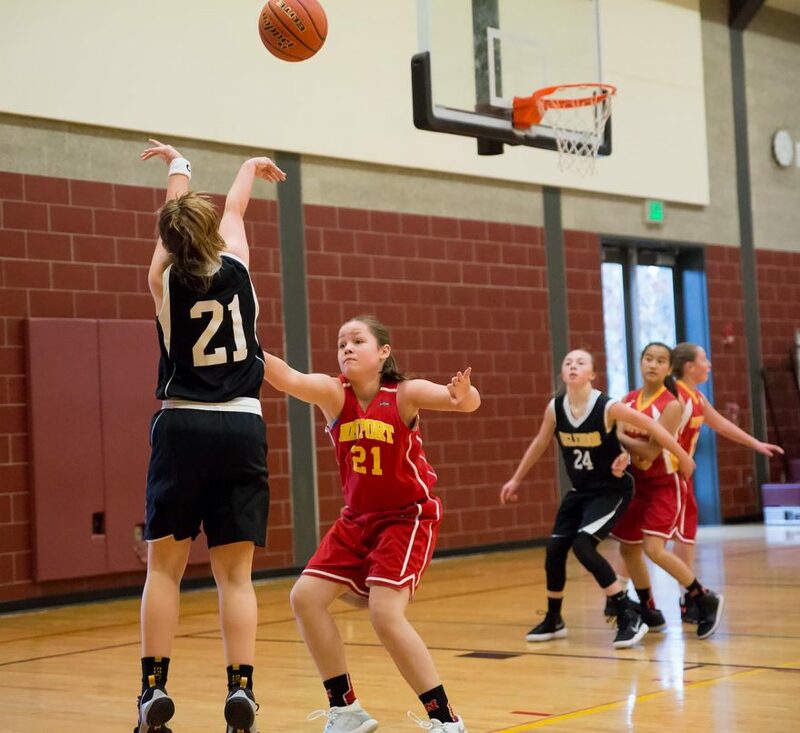 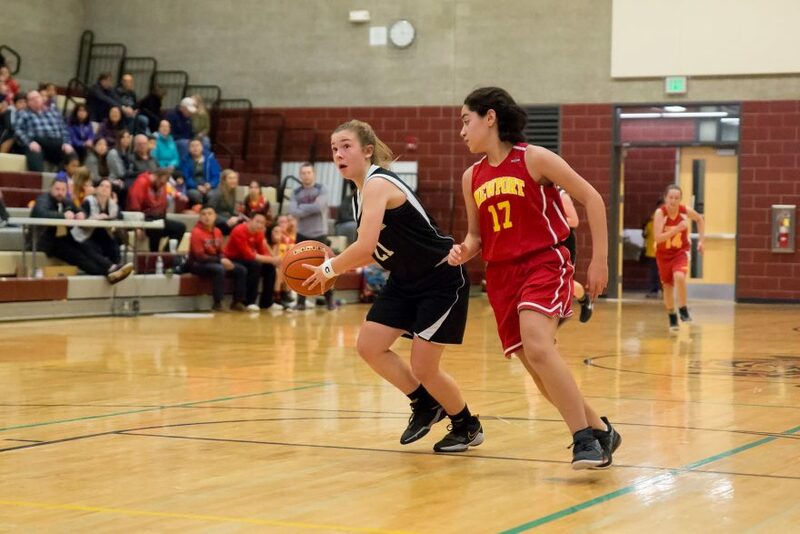 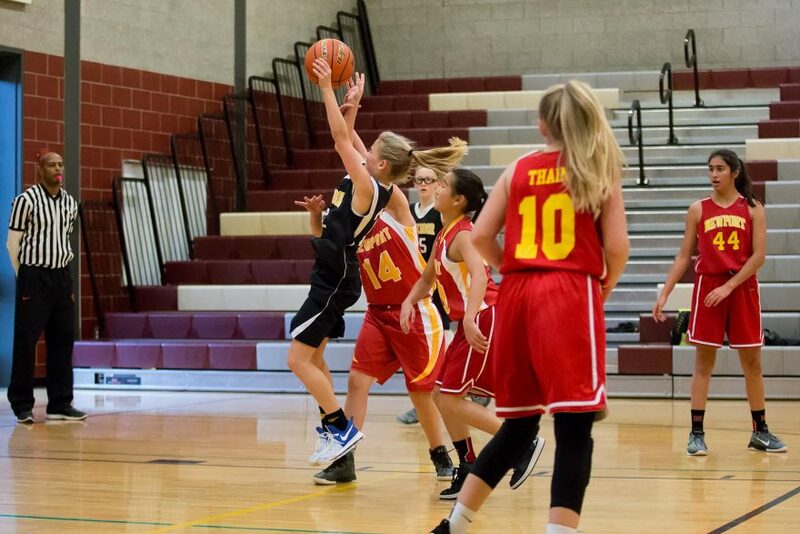 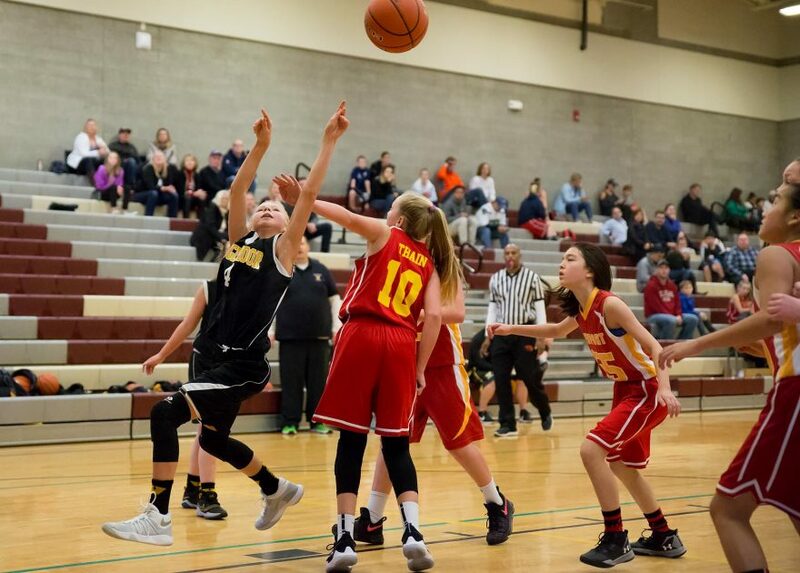 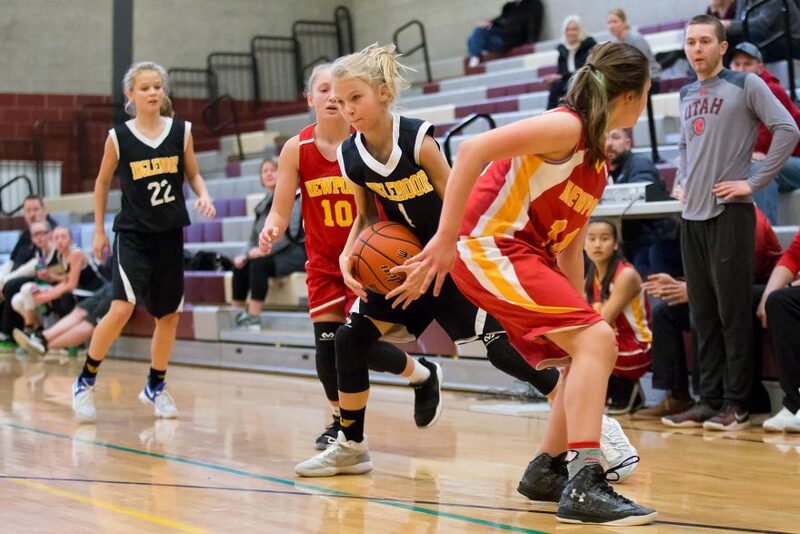 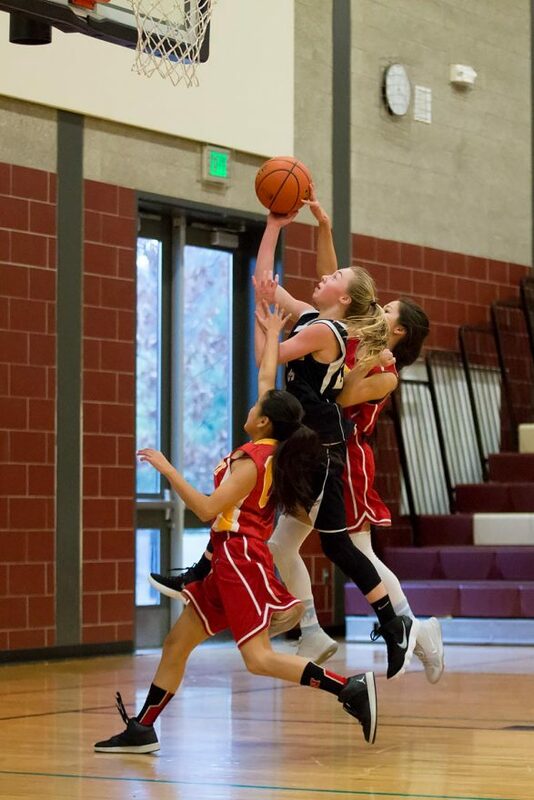 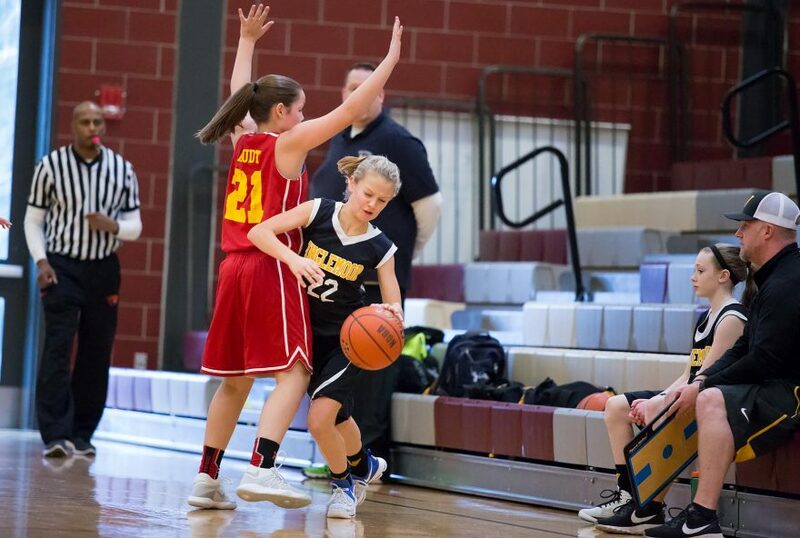 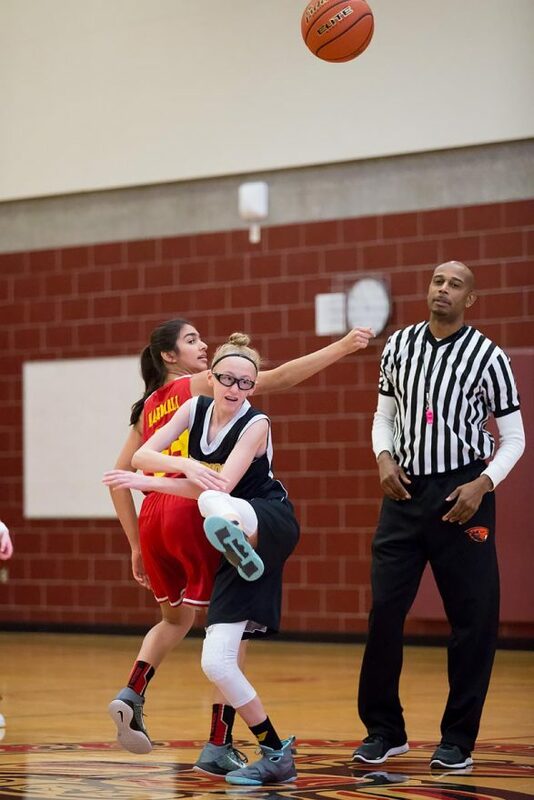 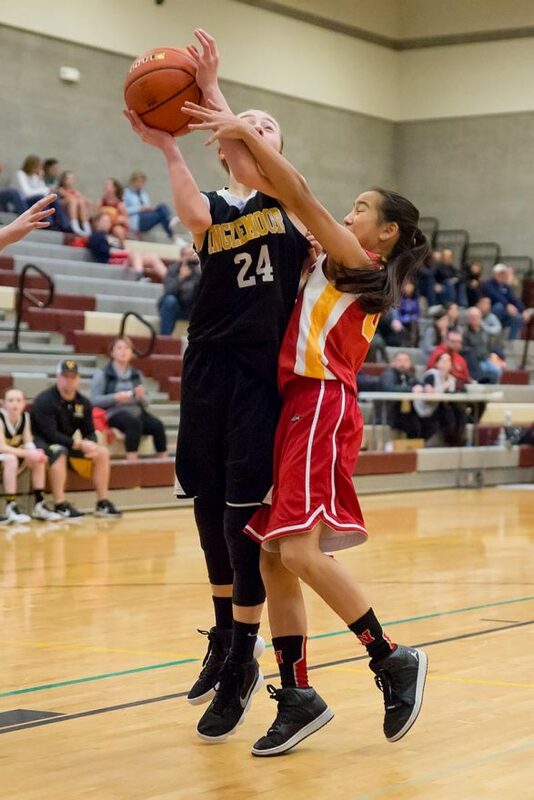 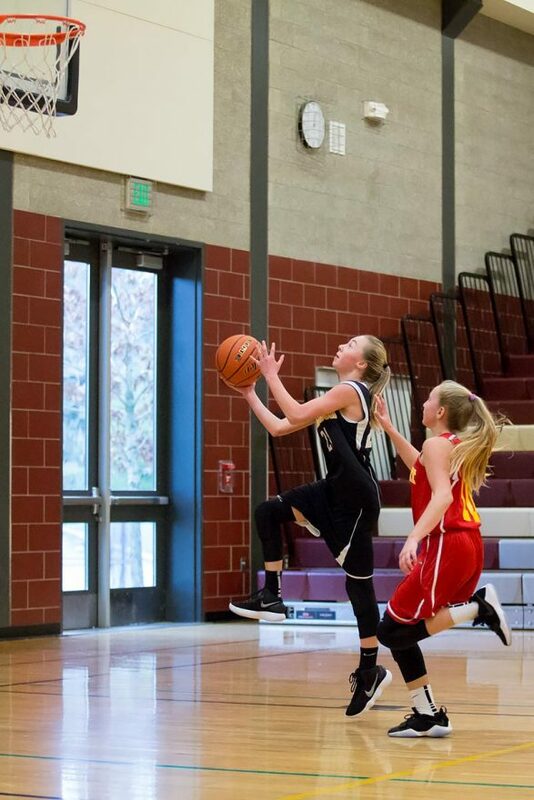 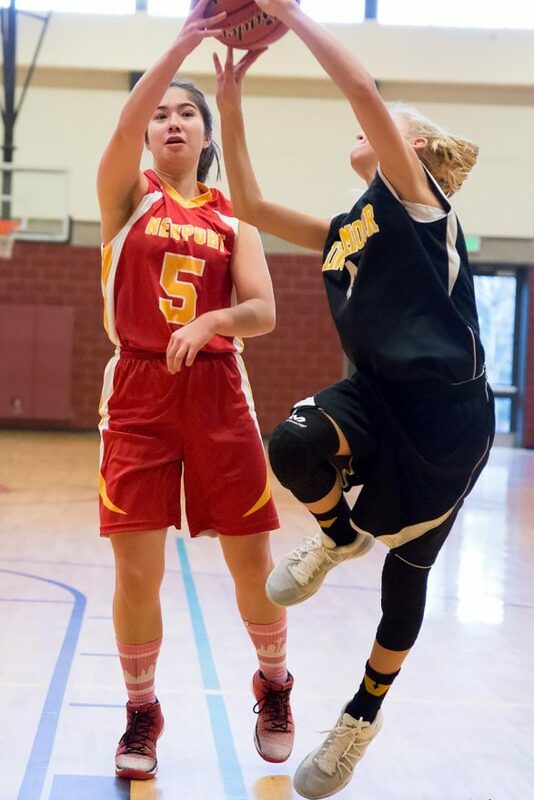 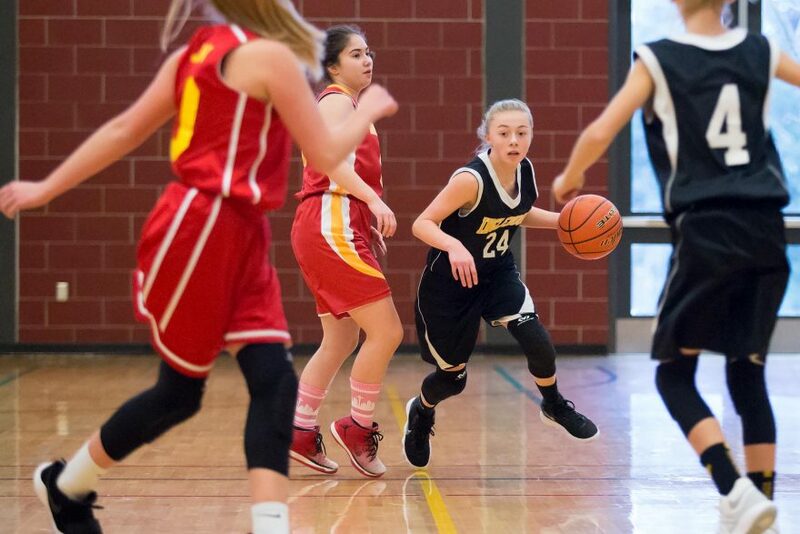 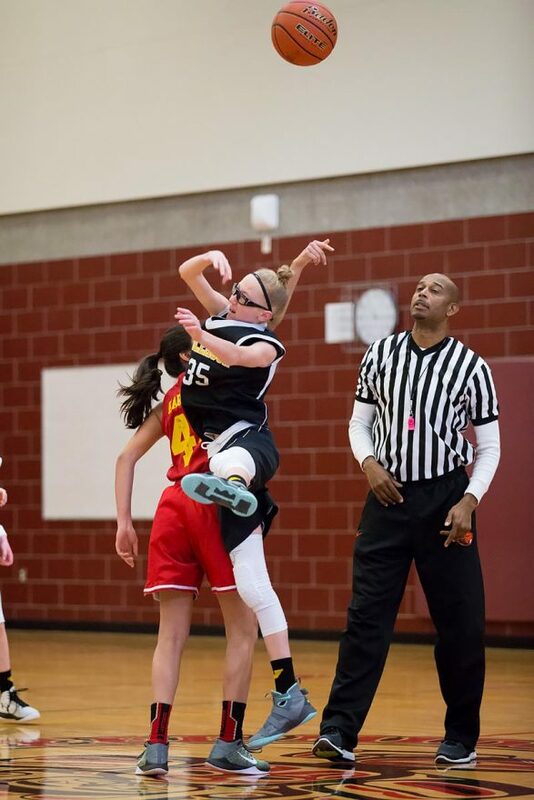 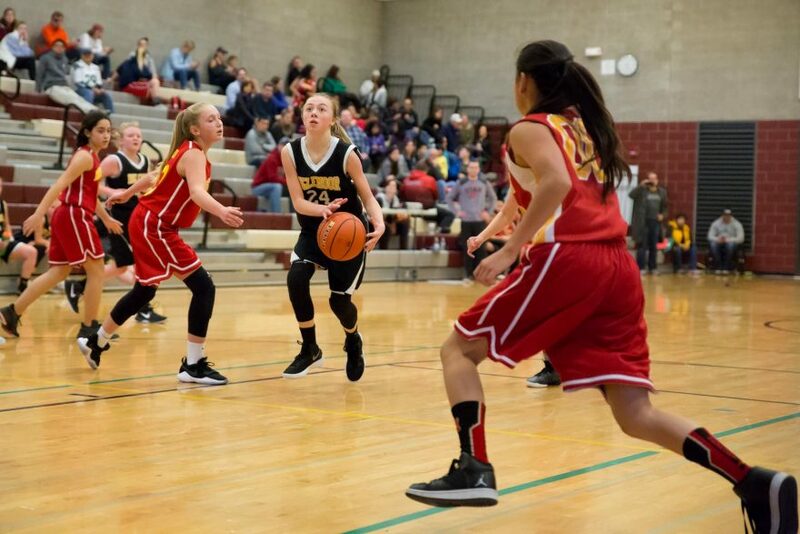 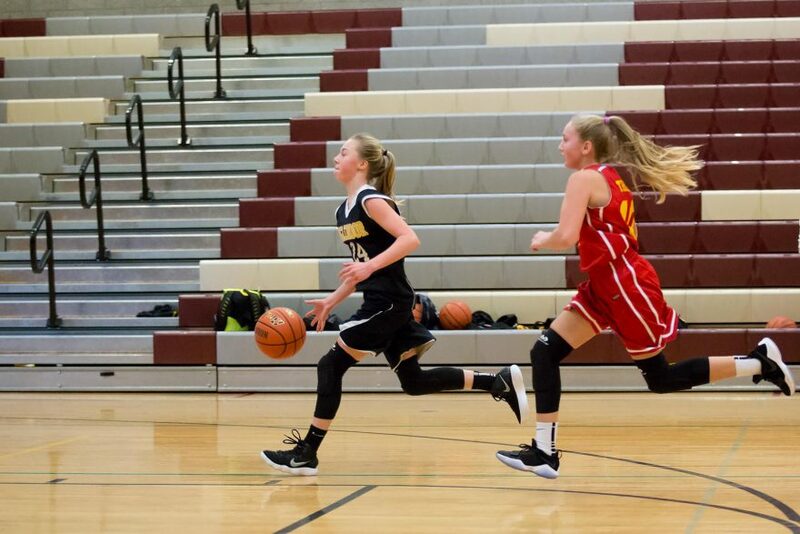 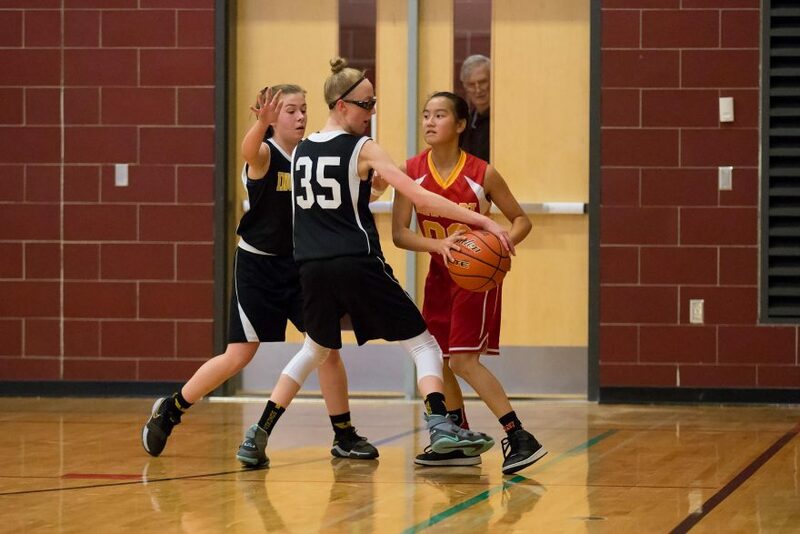 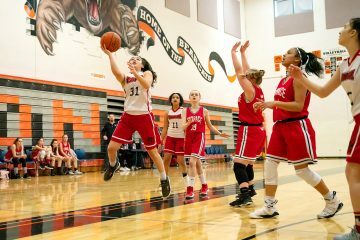 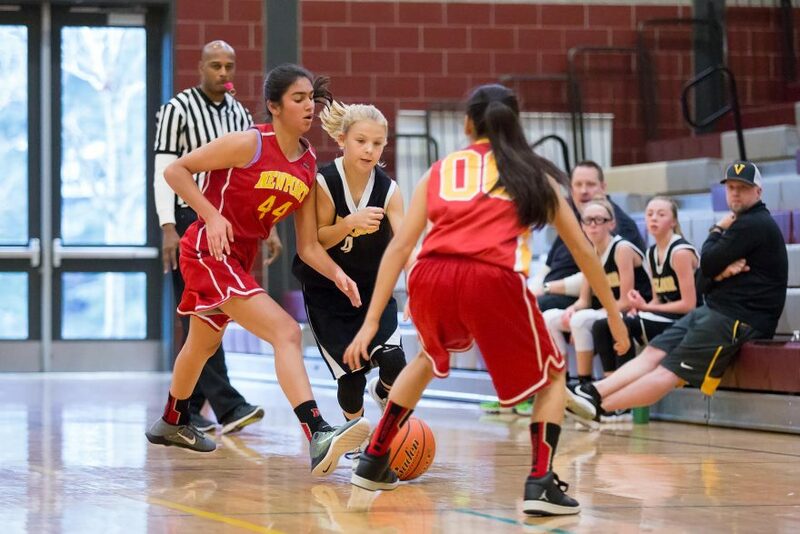 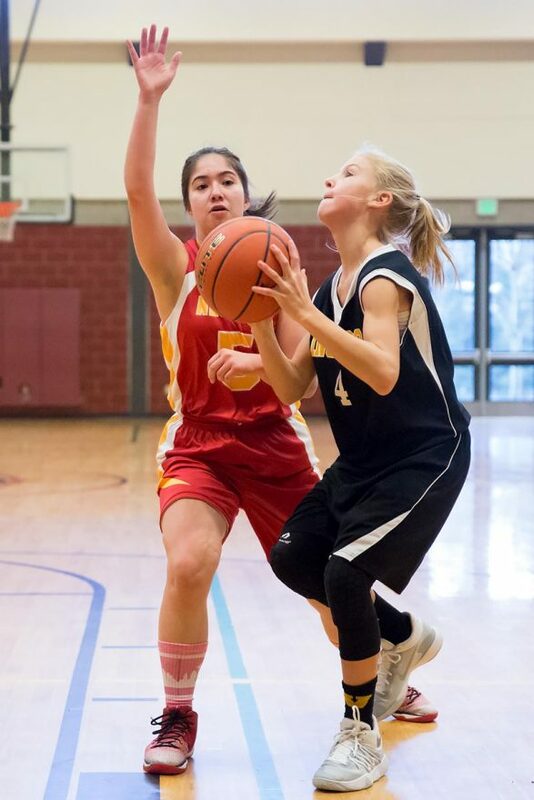 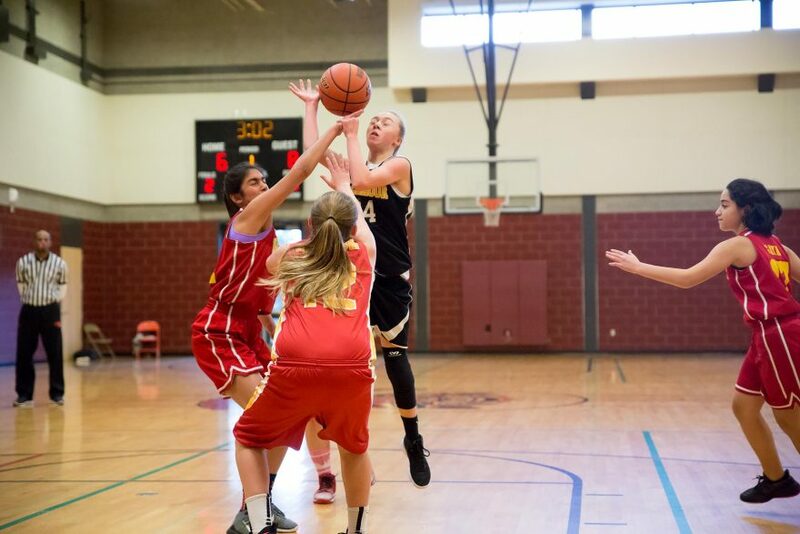 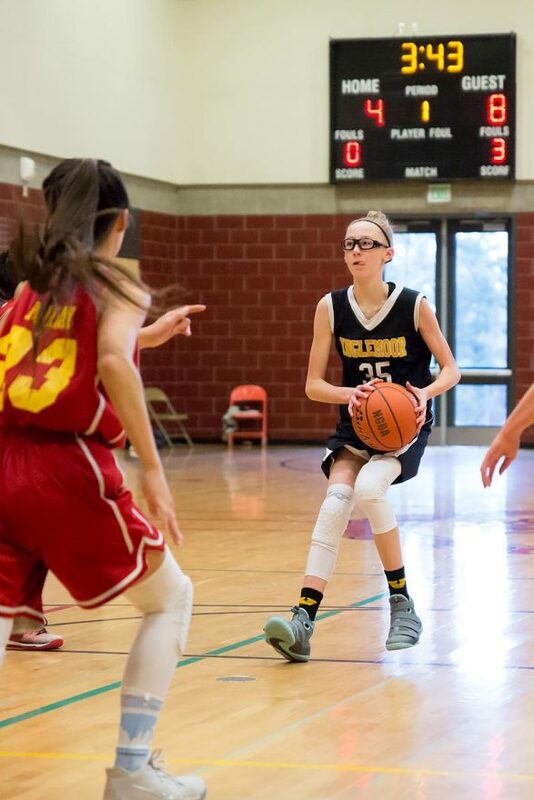 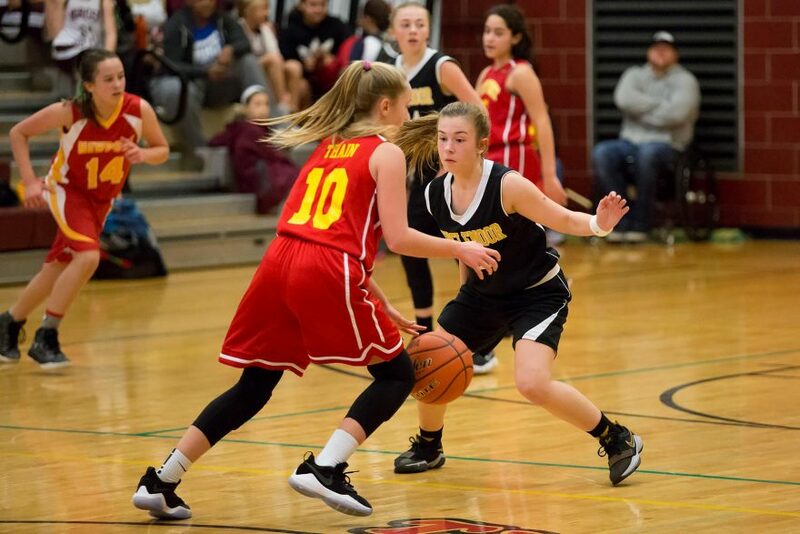 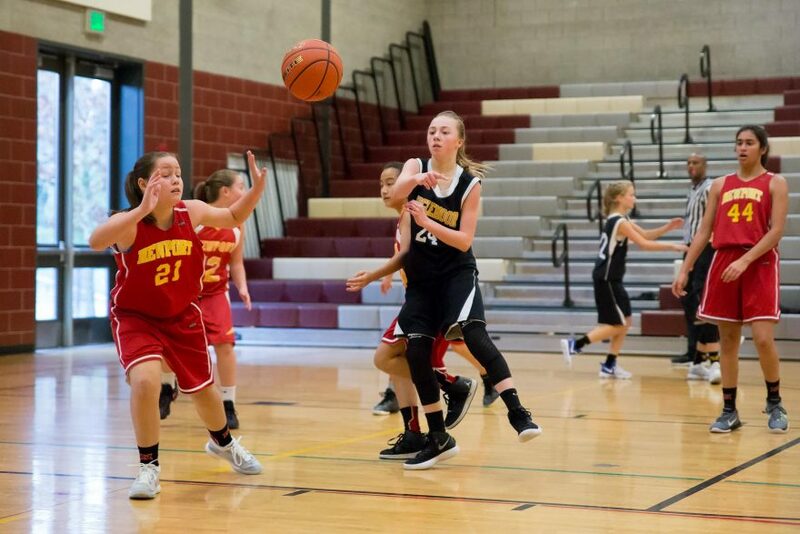 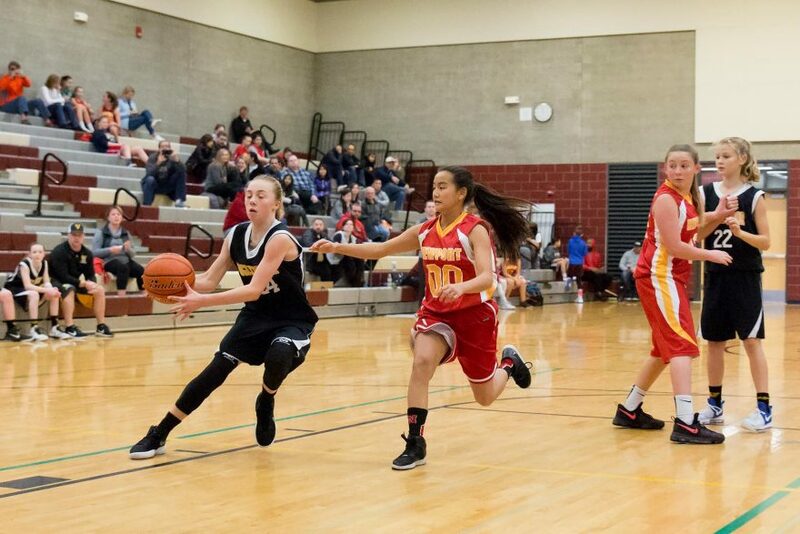 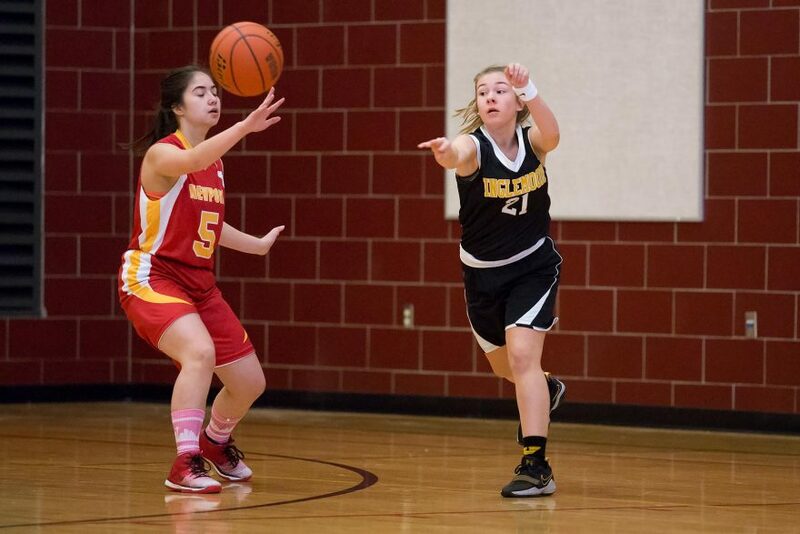 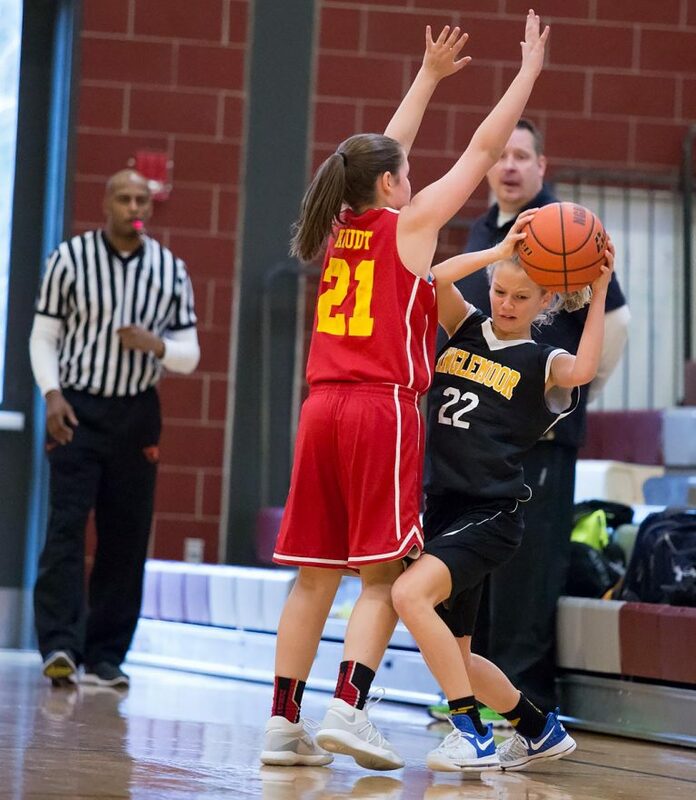 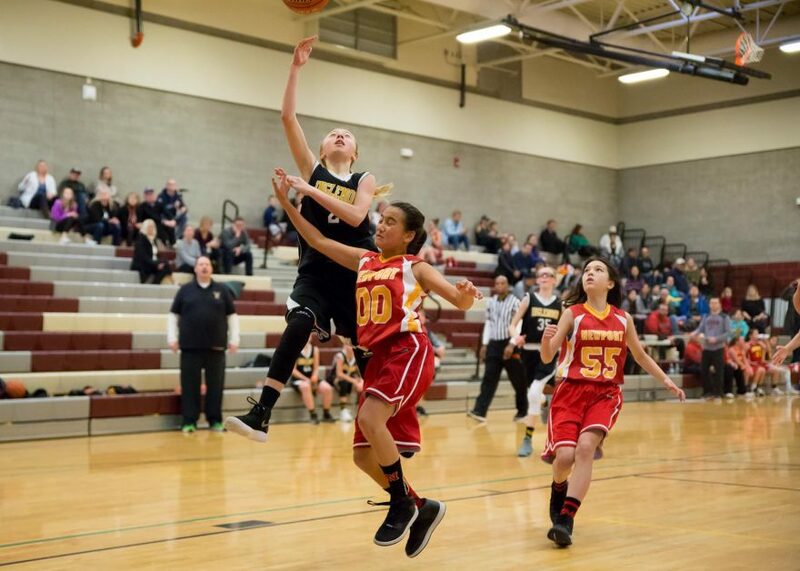 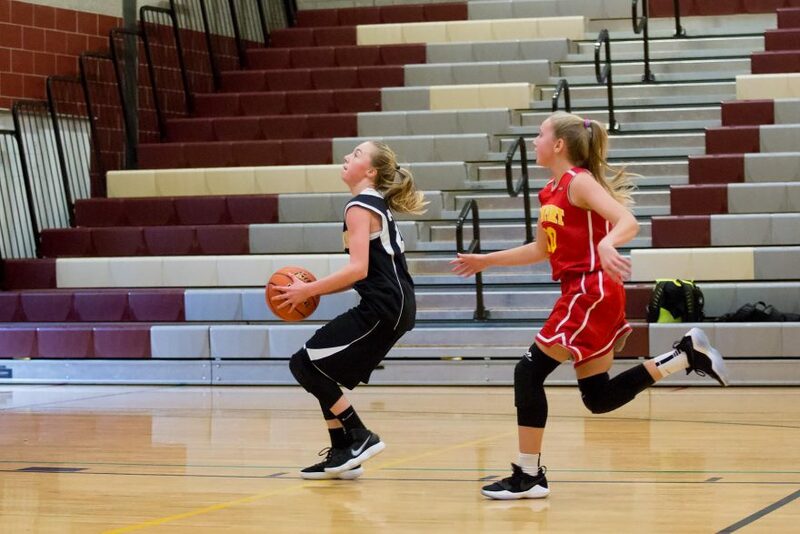 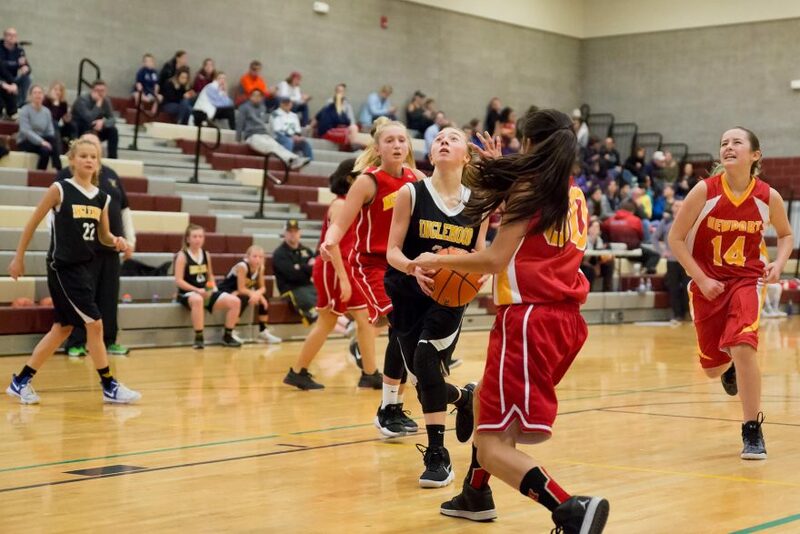 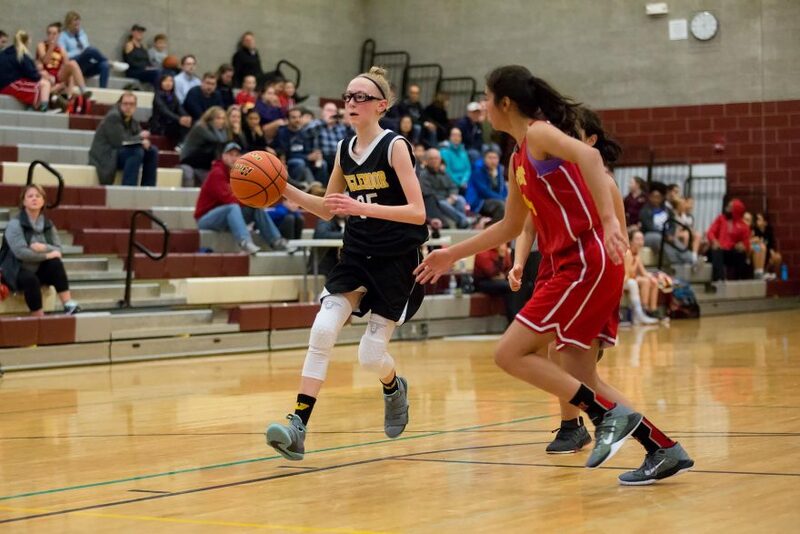 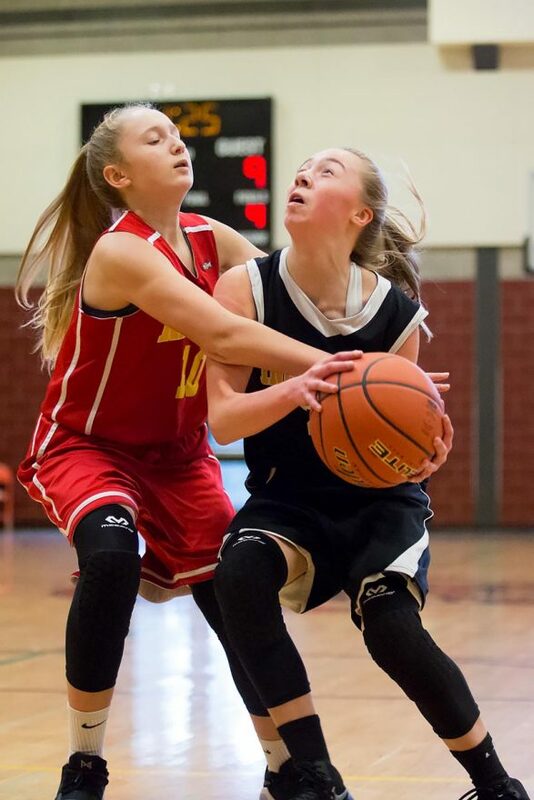 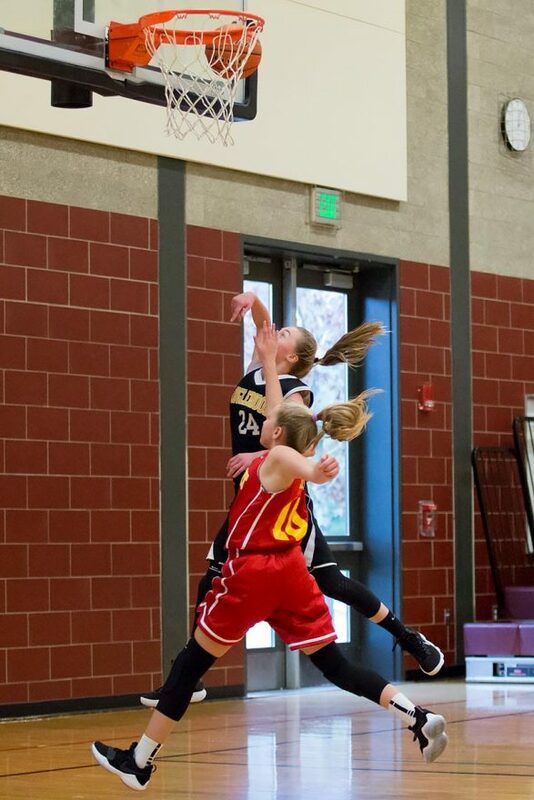 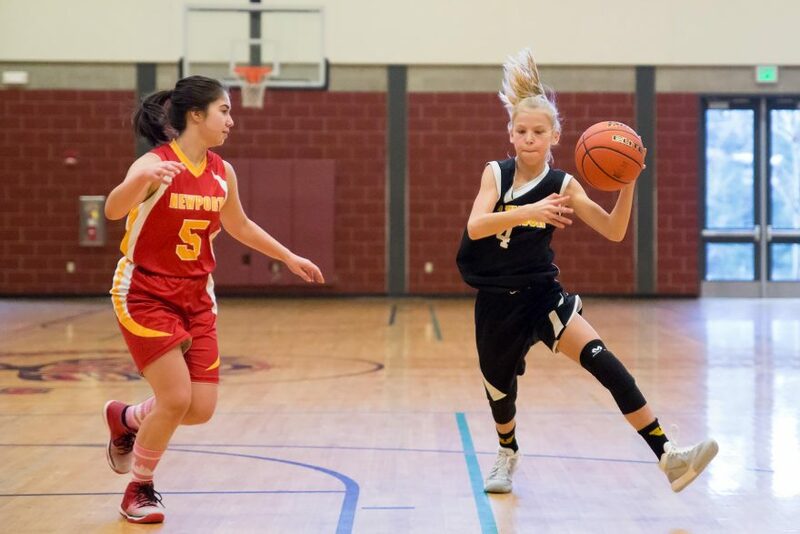 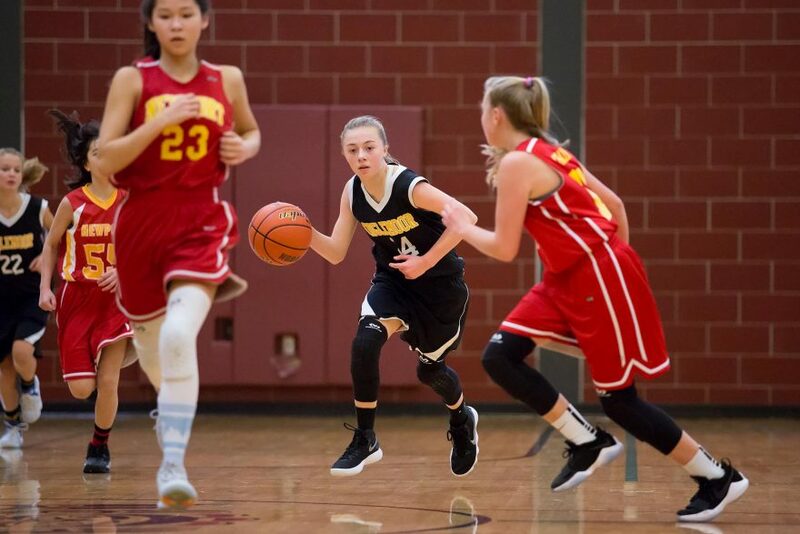 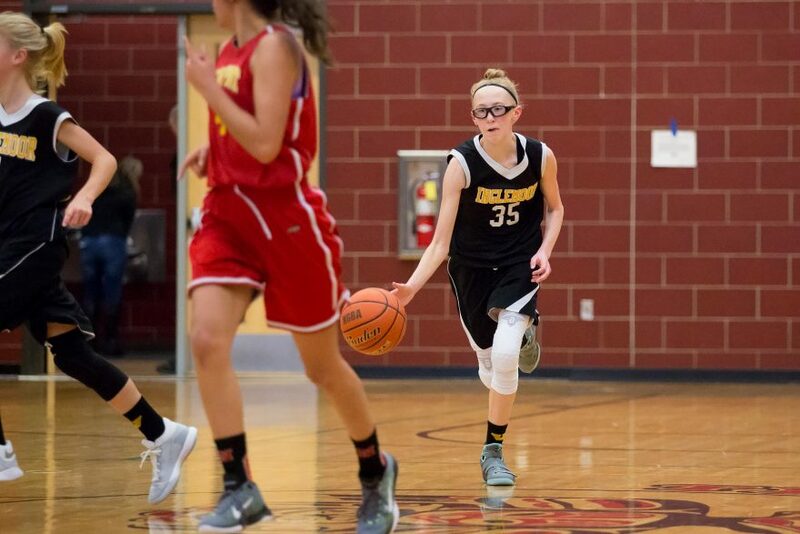 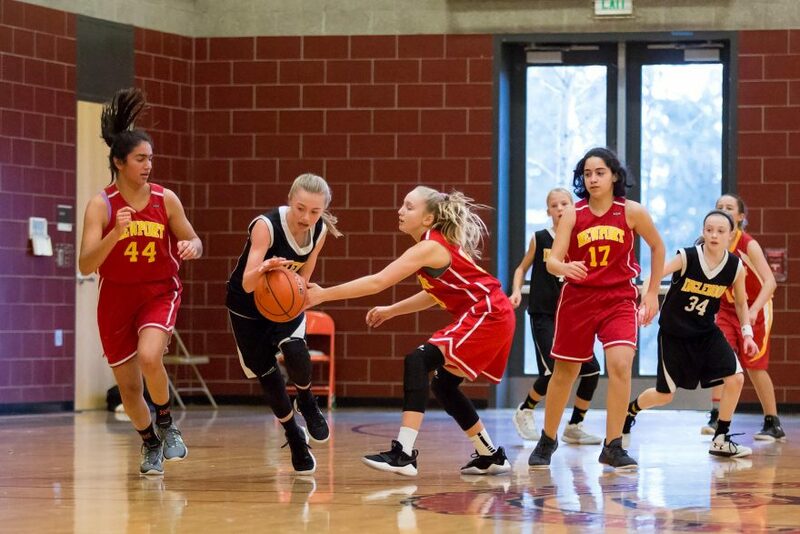 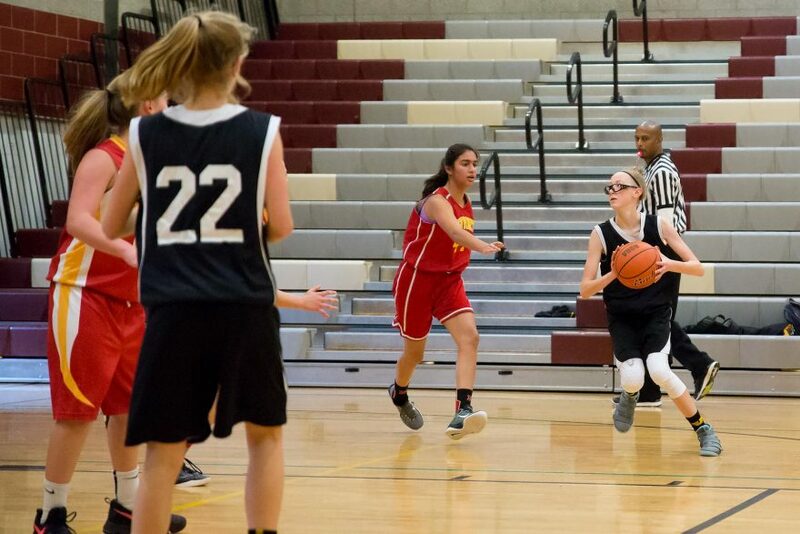 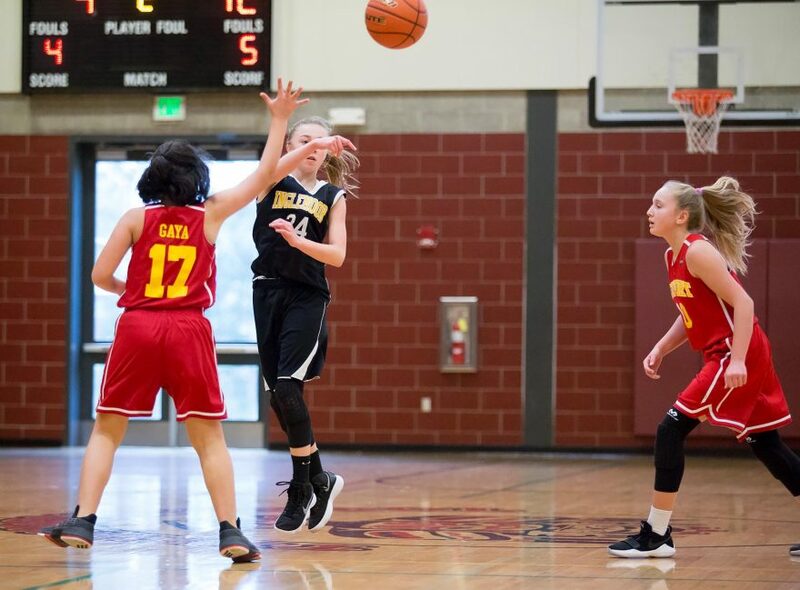 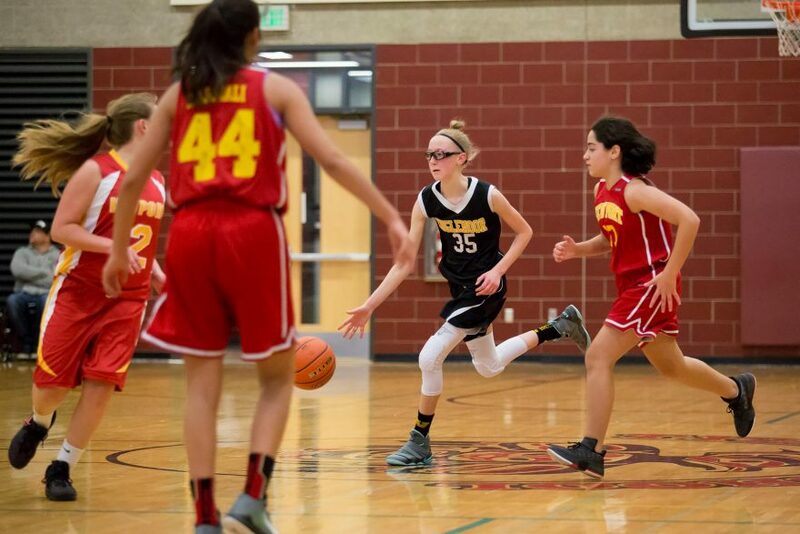 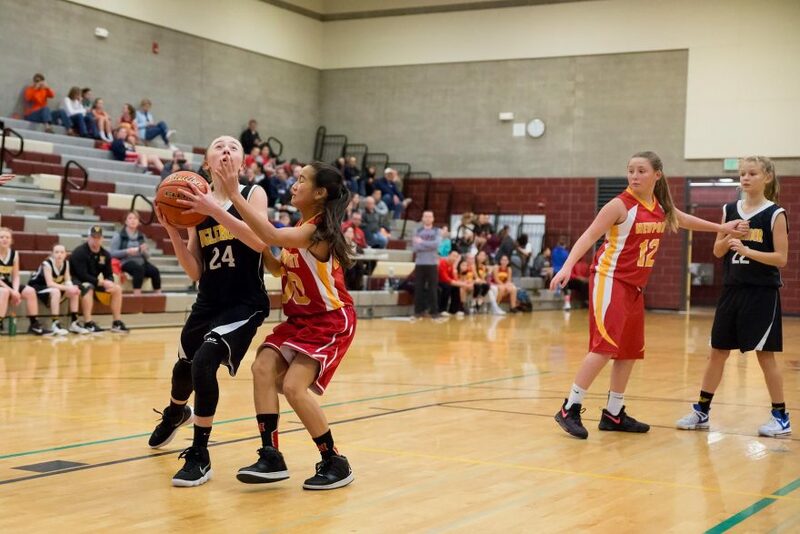 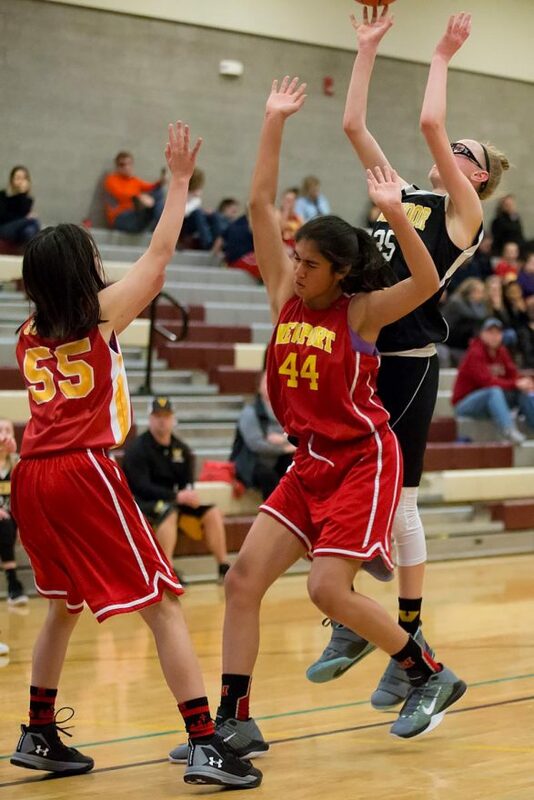 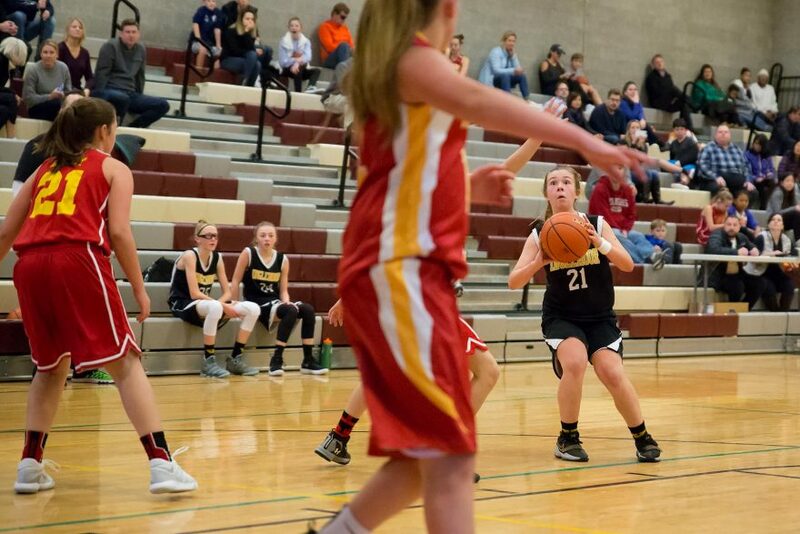 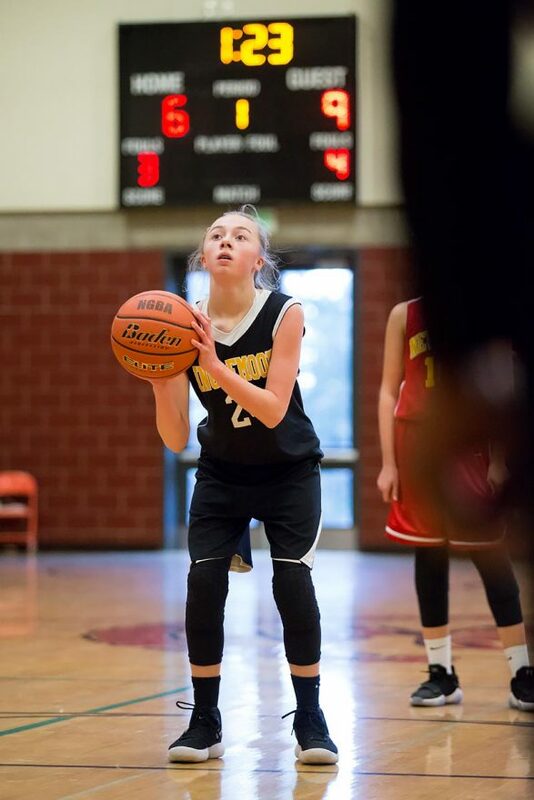 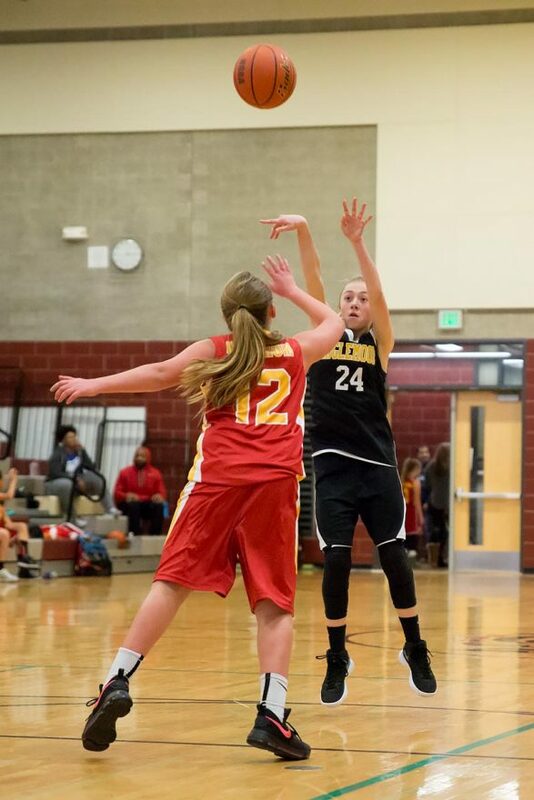 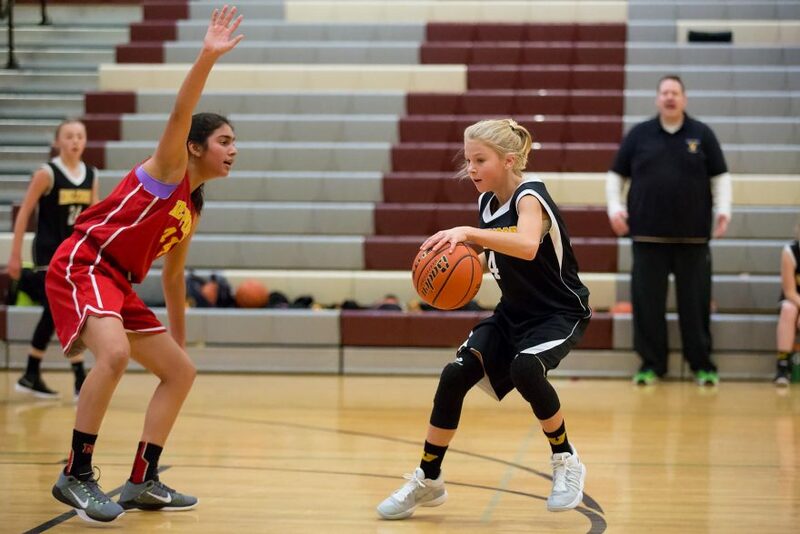 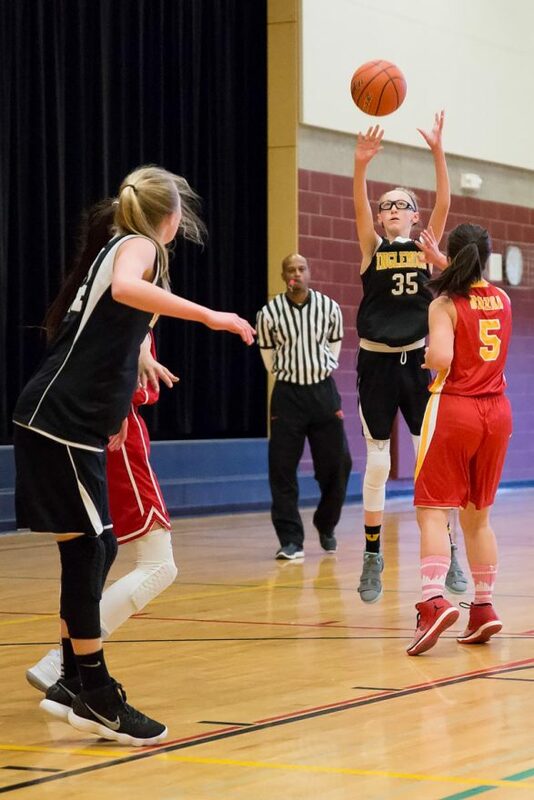 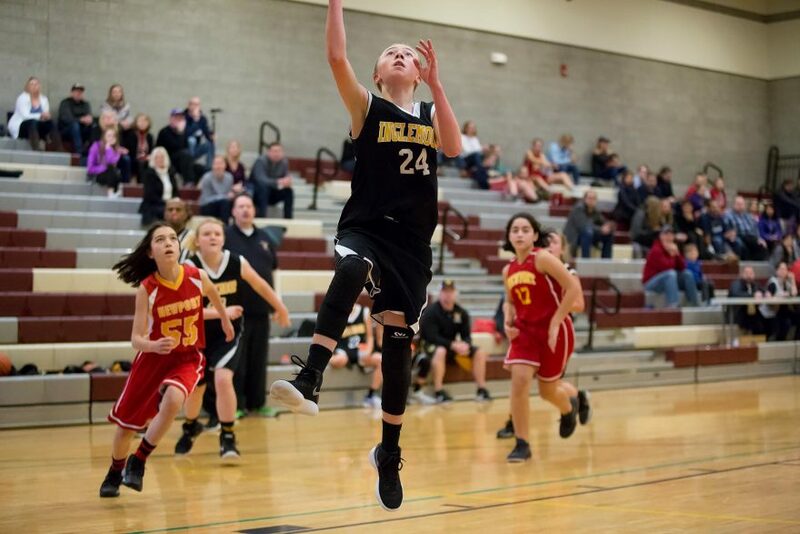 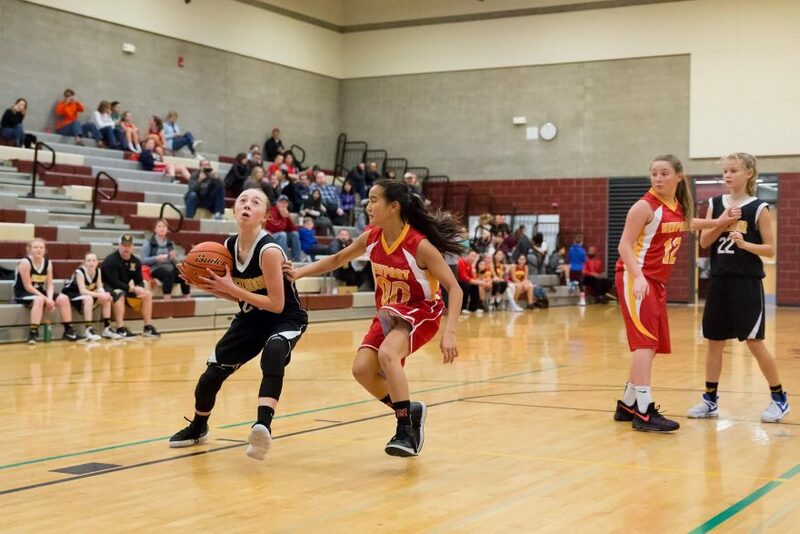 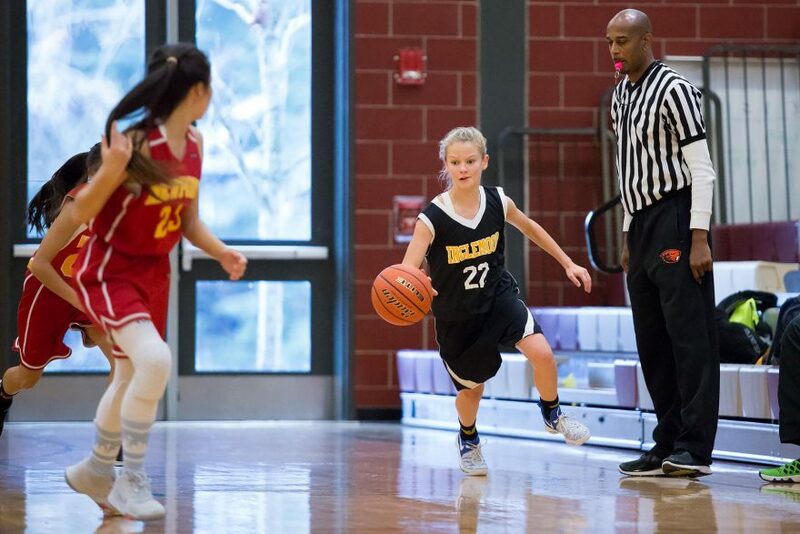 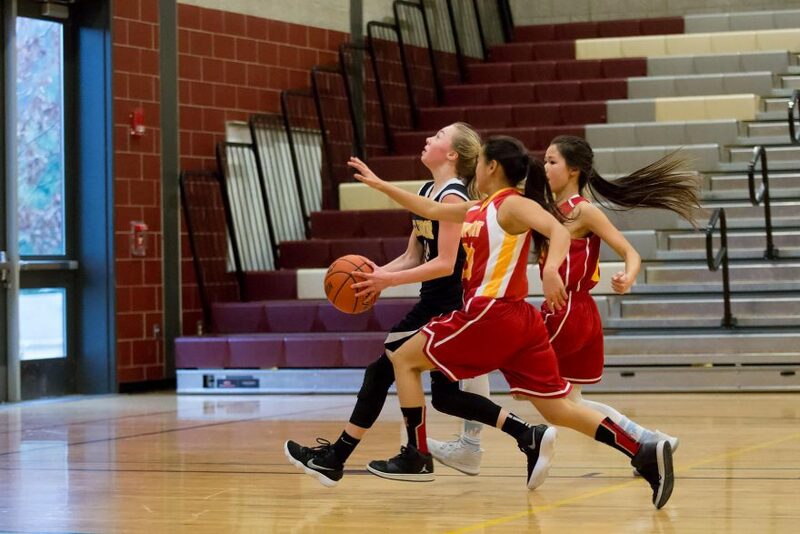 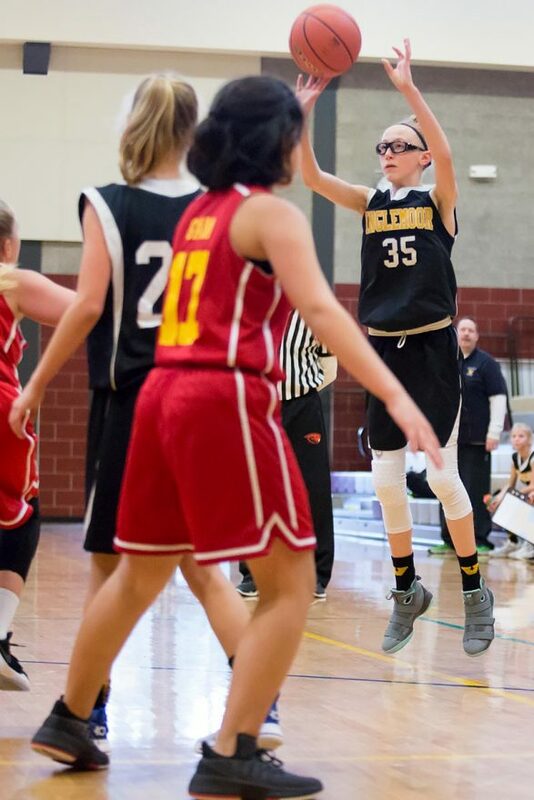 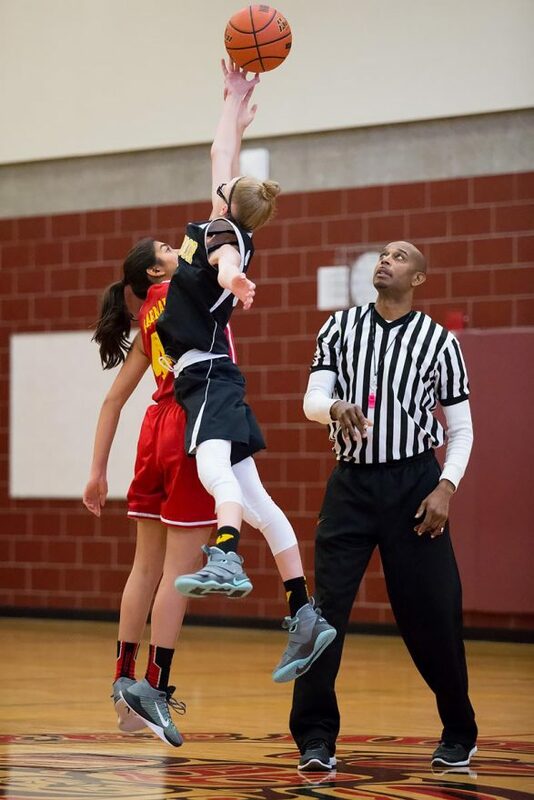 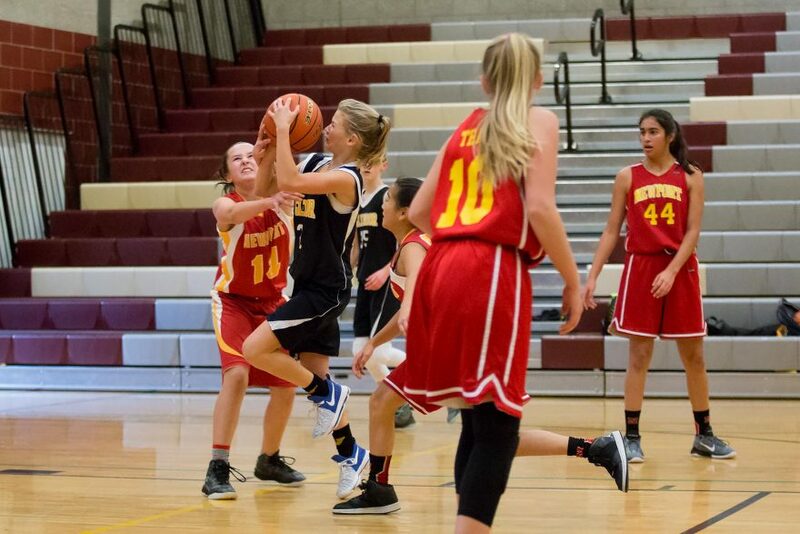 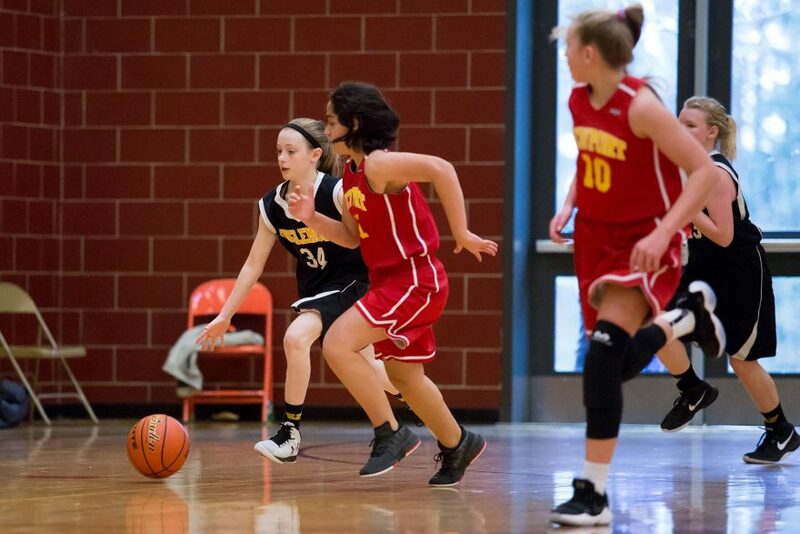 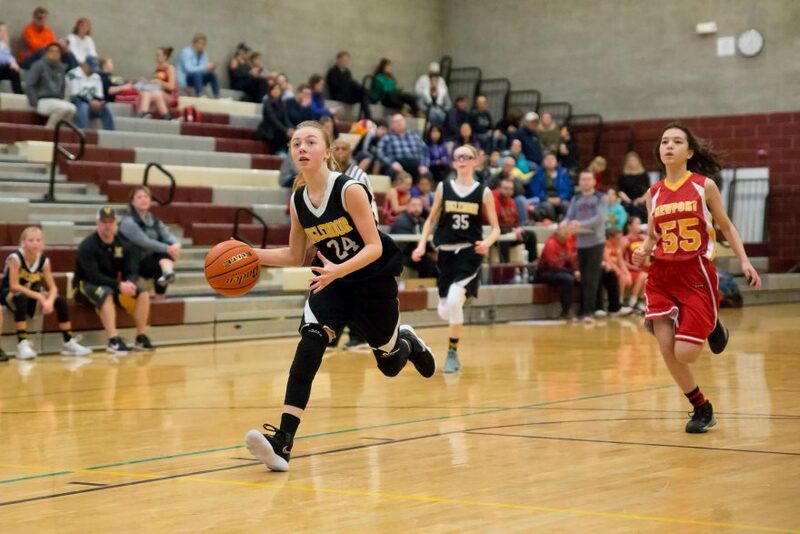 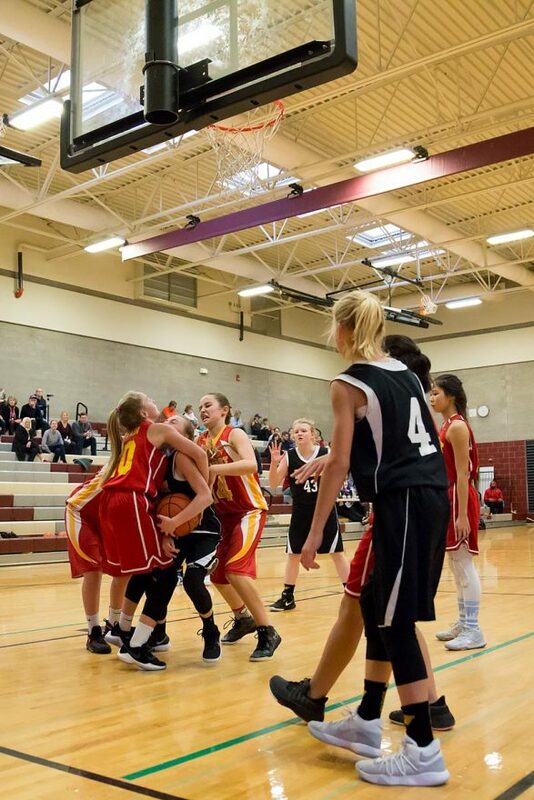 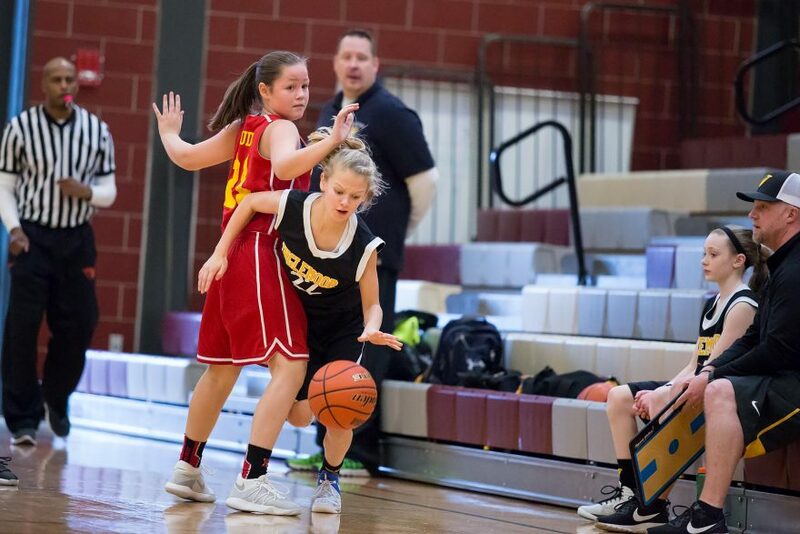 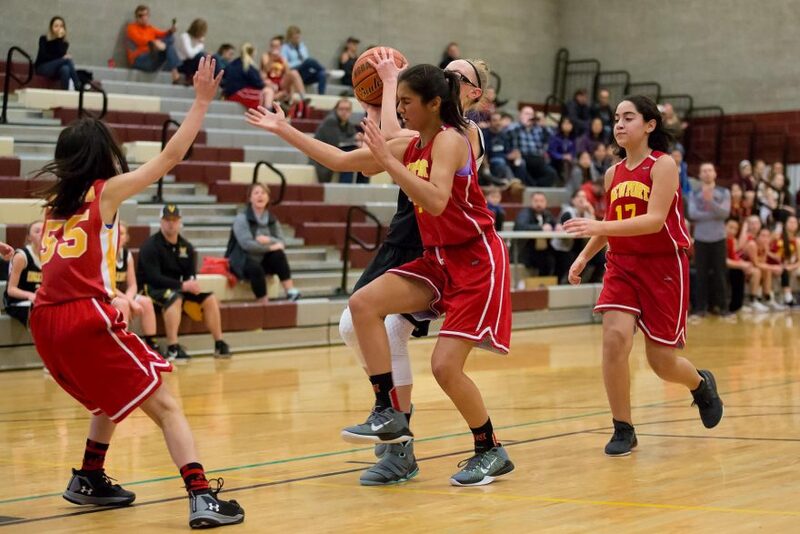 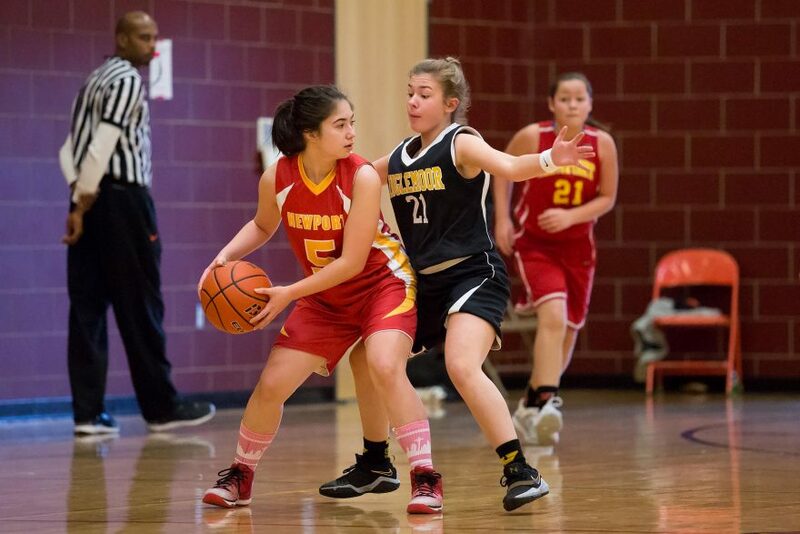 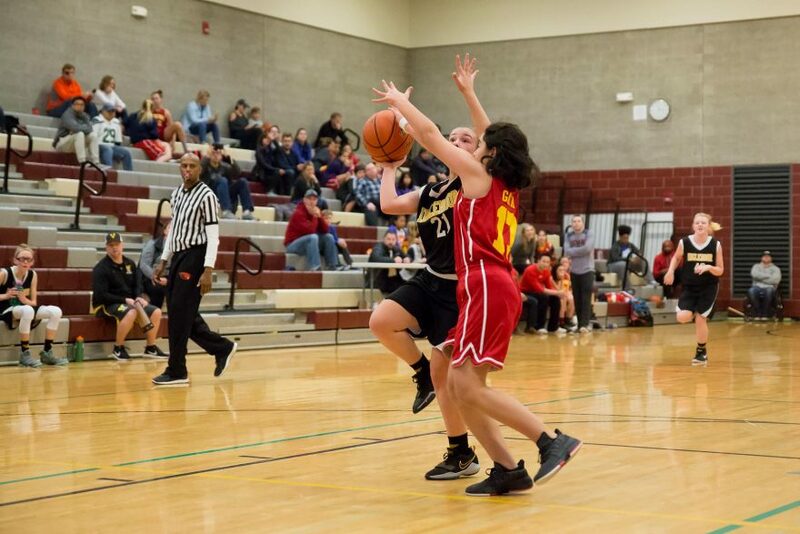 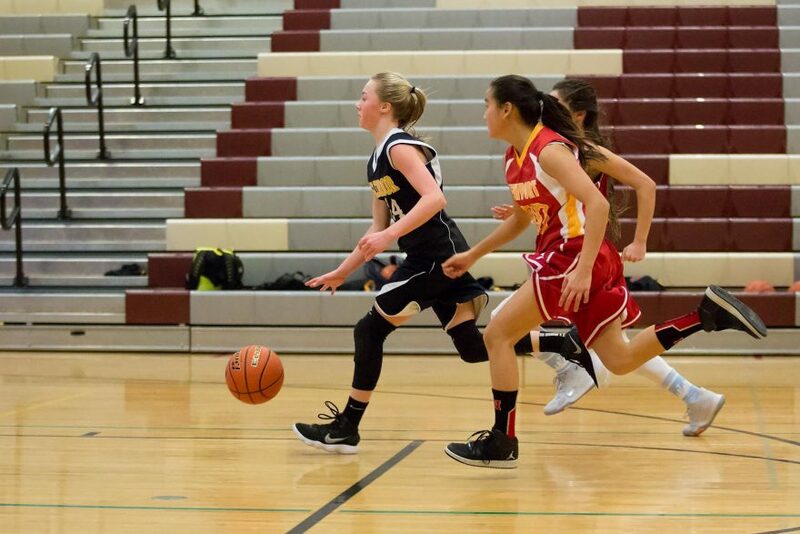 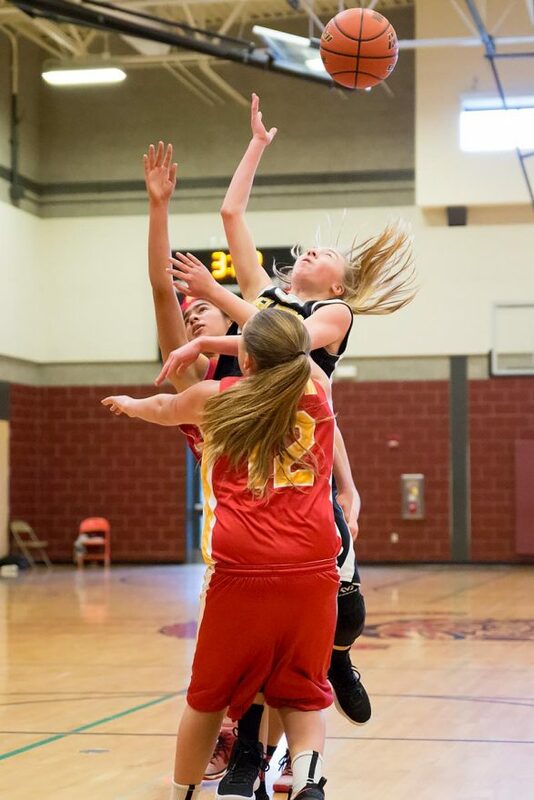 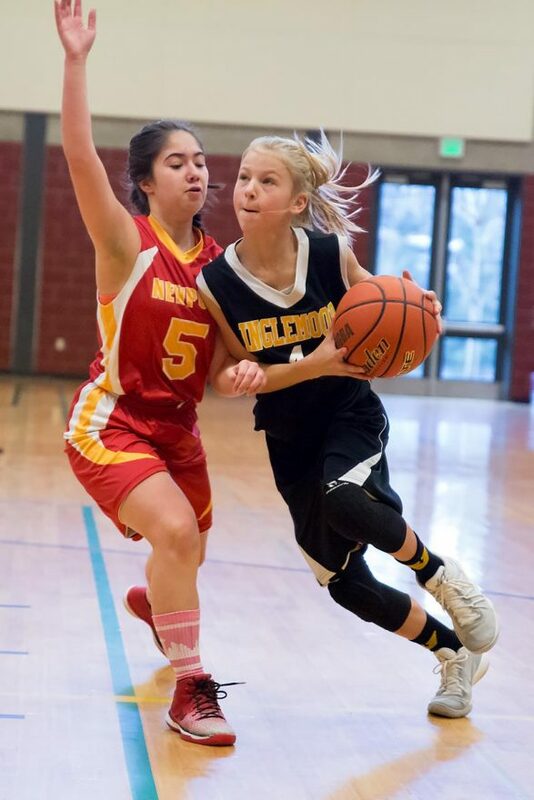 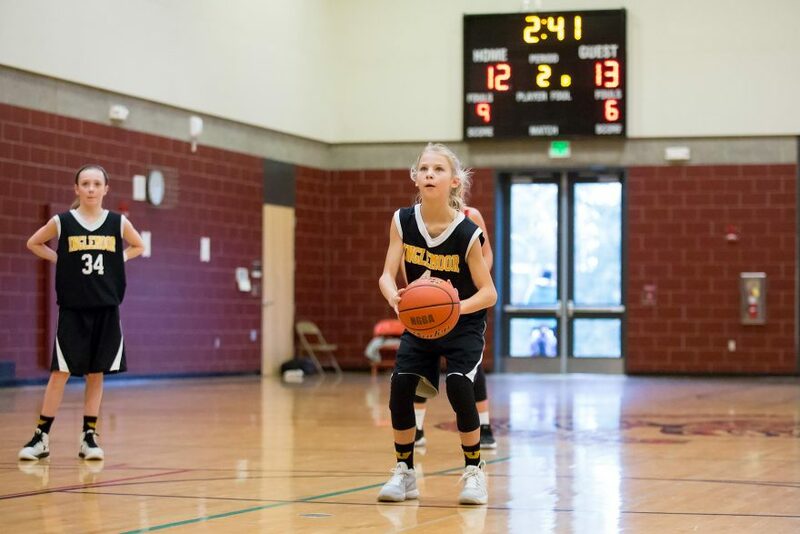 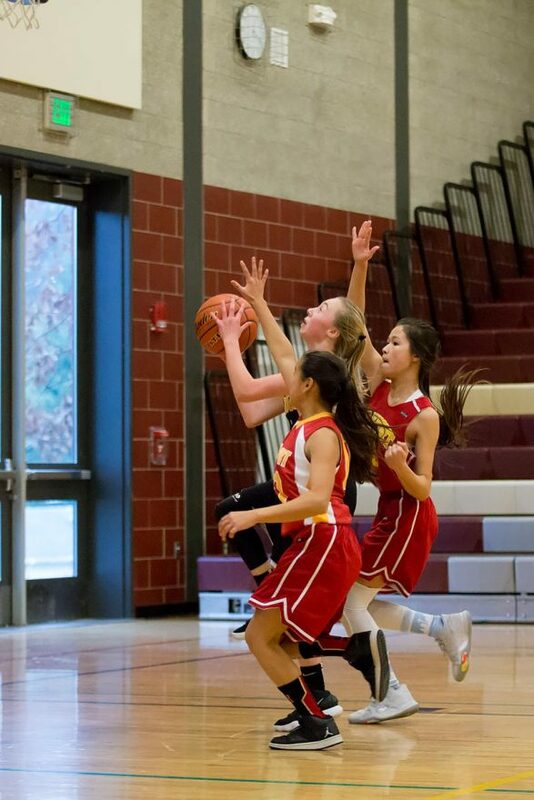 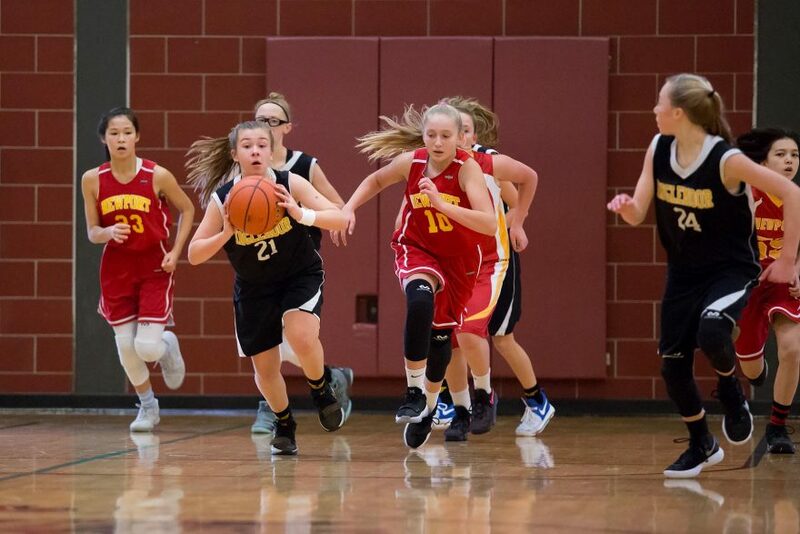 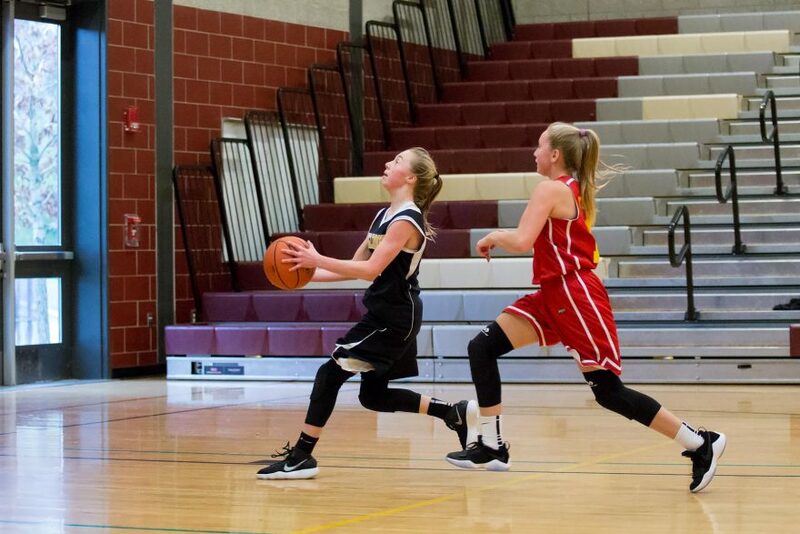 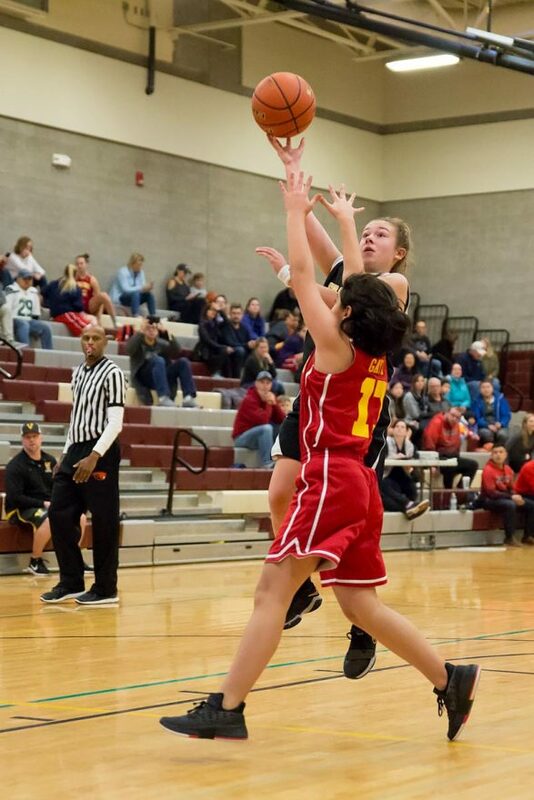 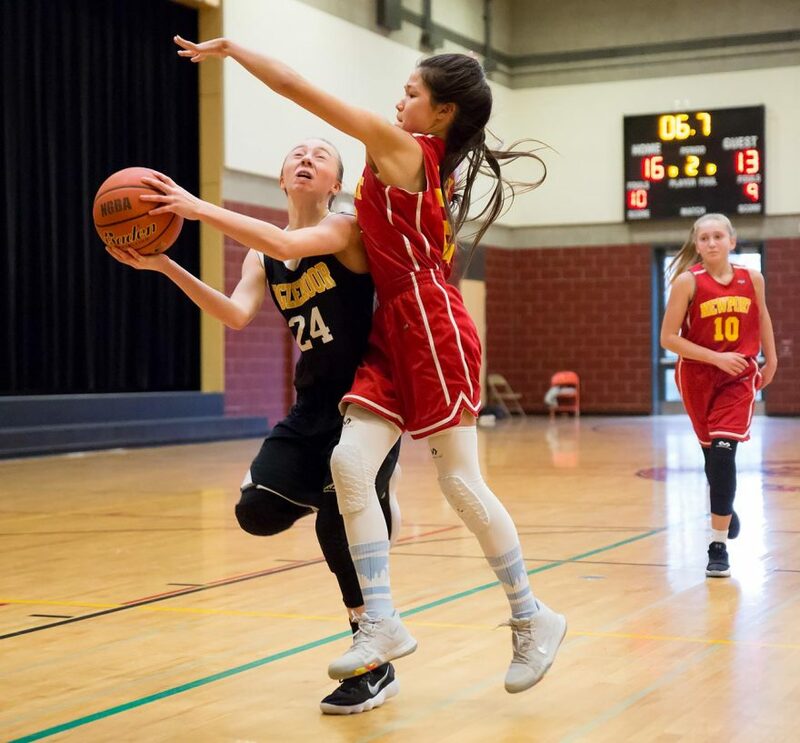 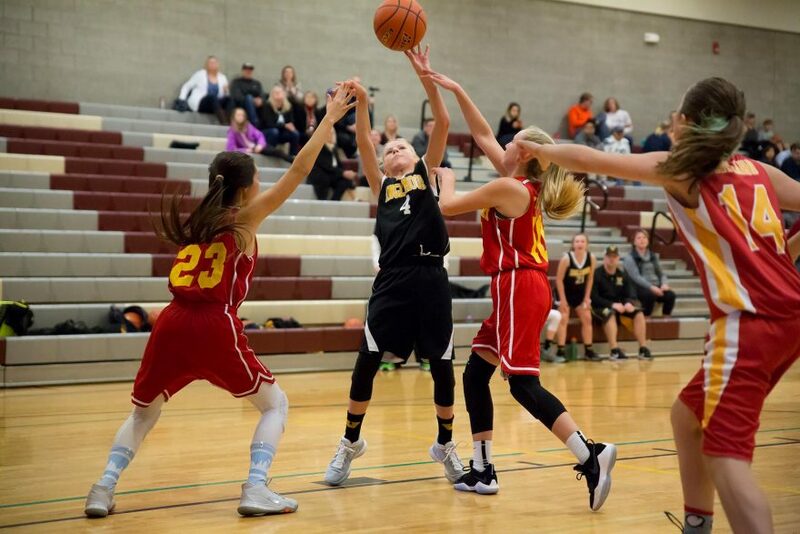 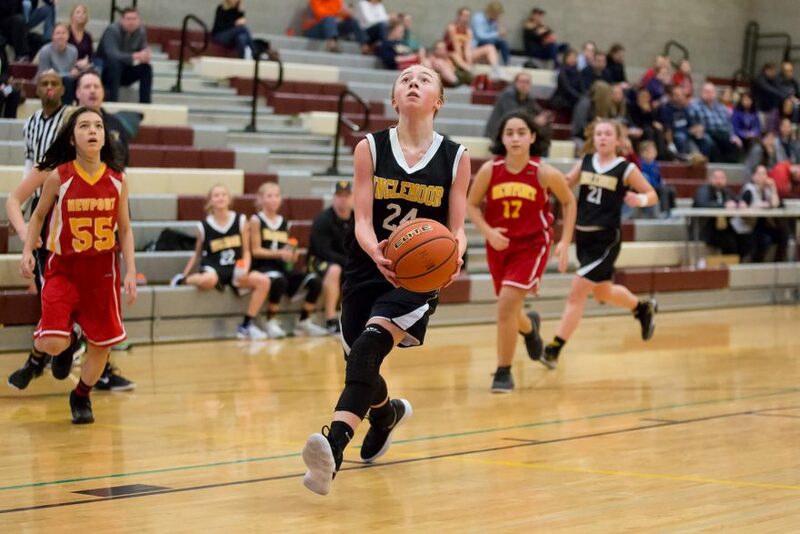 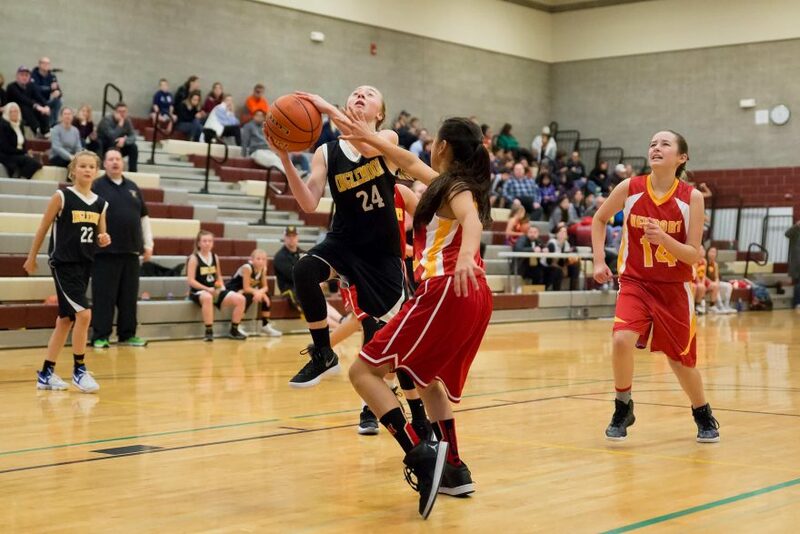 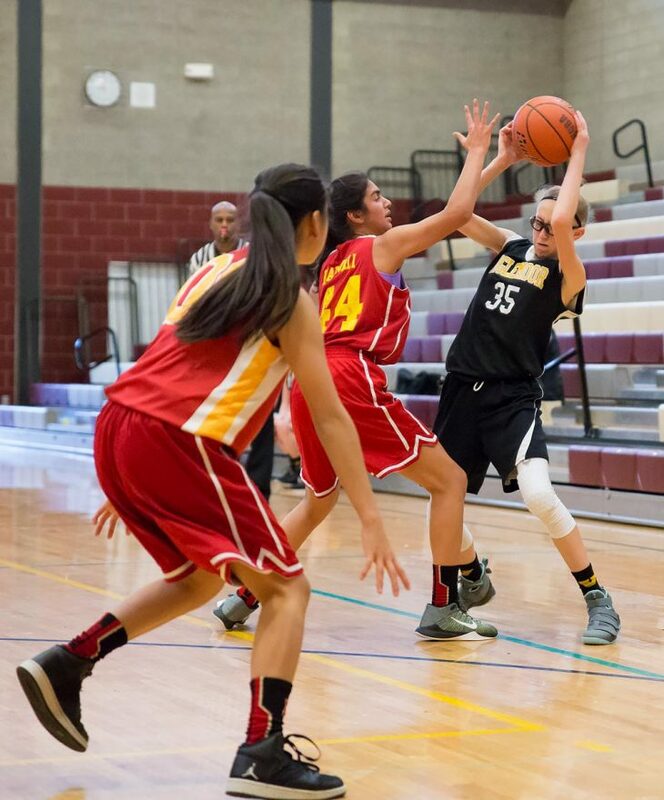 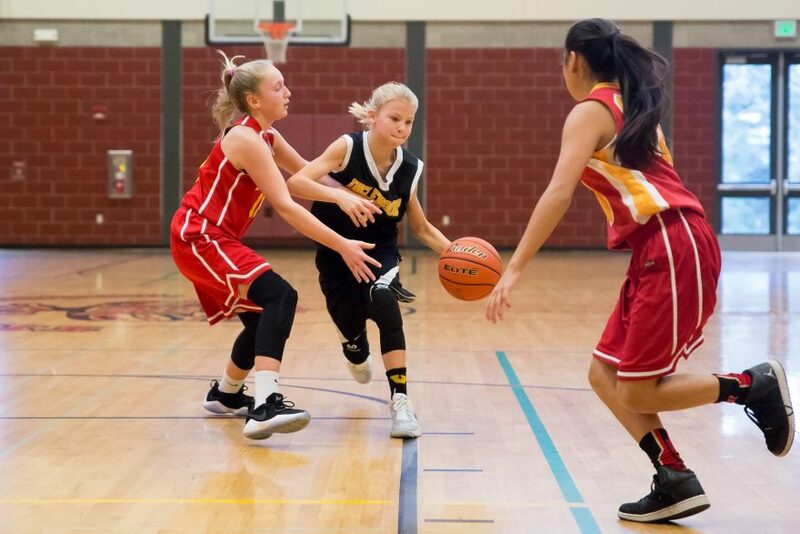 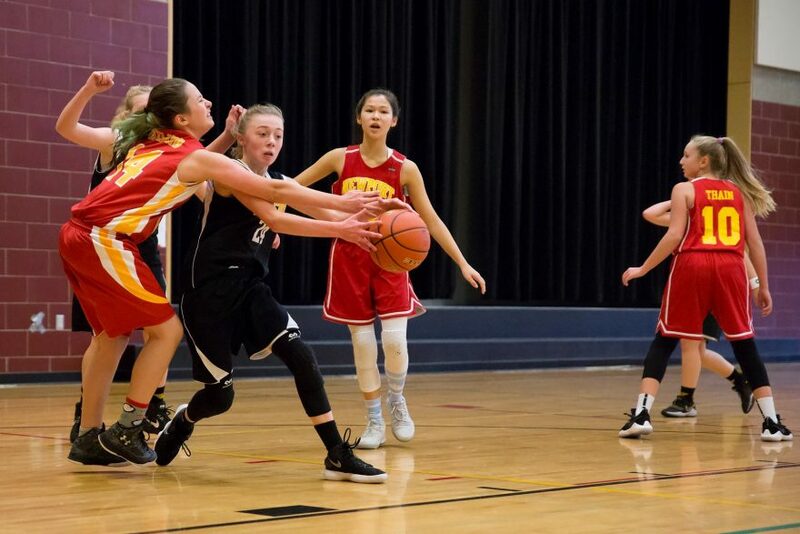 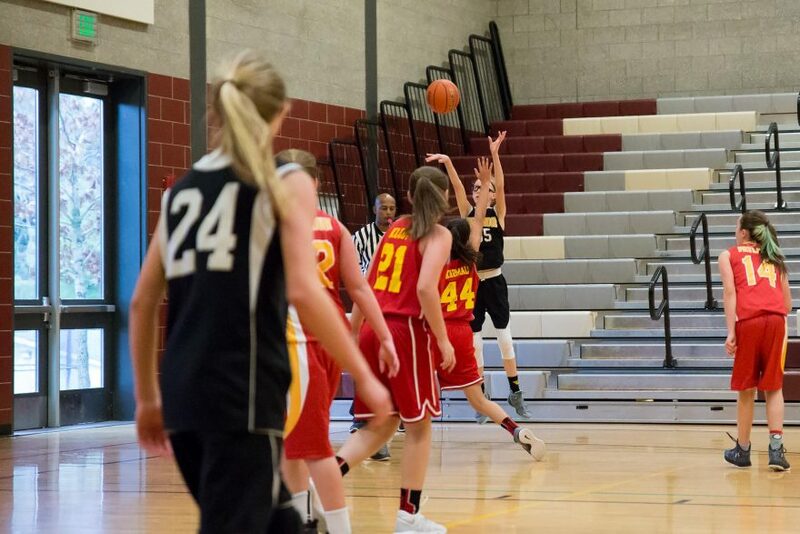 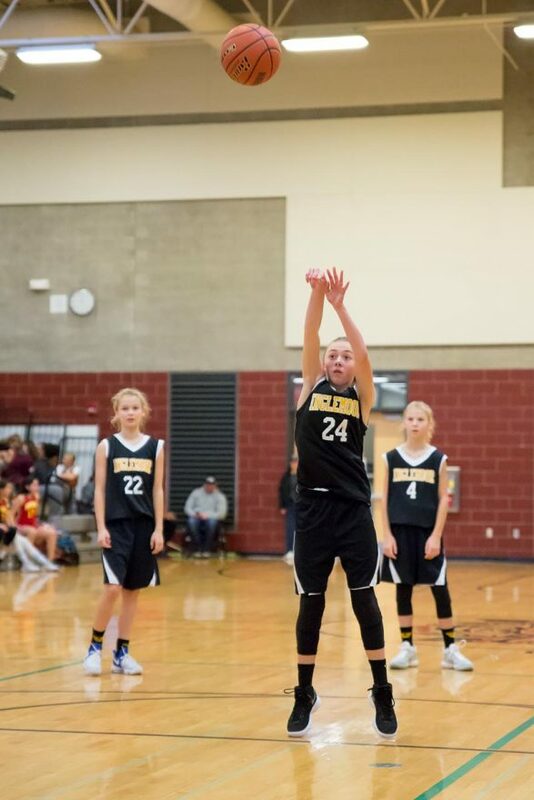 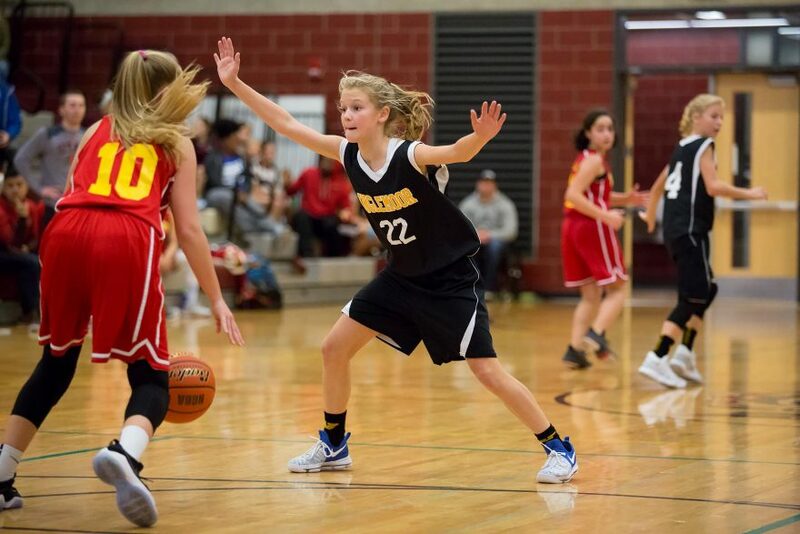 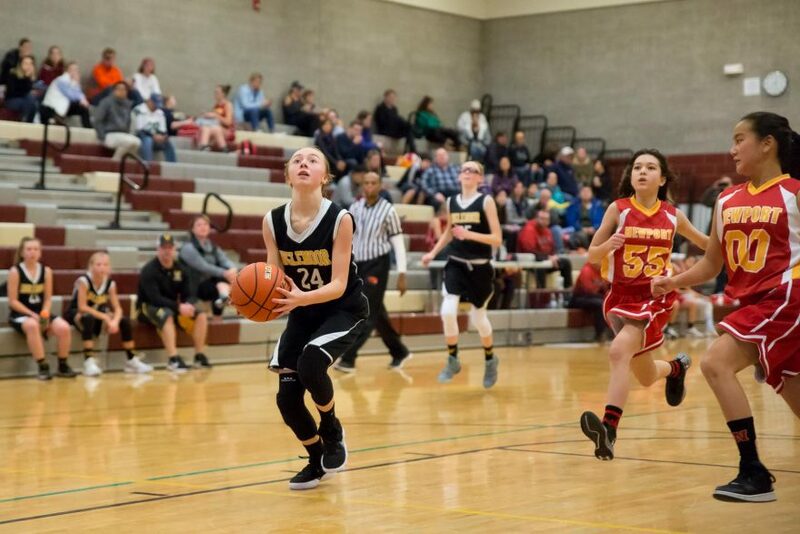 Late on Sunday morning, the Inglemoor Vikings stepped onto the hardwood of Tyee Middle School in Bellevue to face off against the Newport Knights. 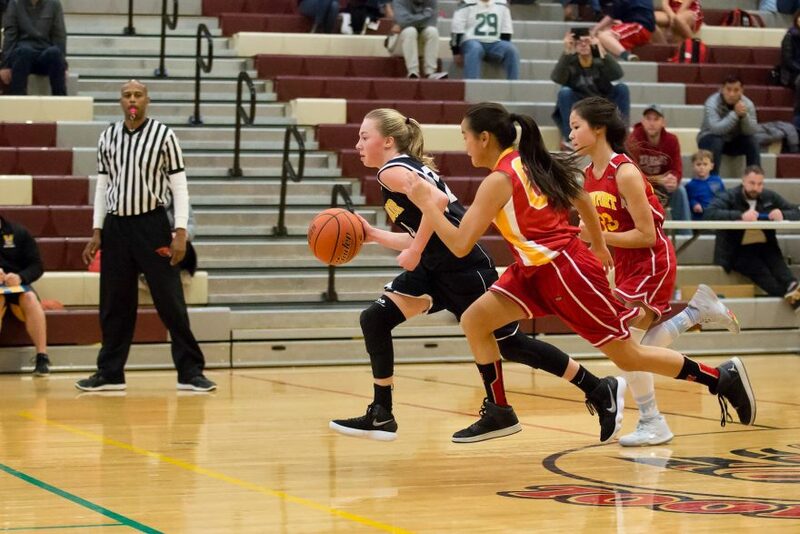 After winning the tip-off, the visiting Vikings shot out of the gates, gaining a 6-1 lead in the first two minutes of the quarter. 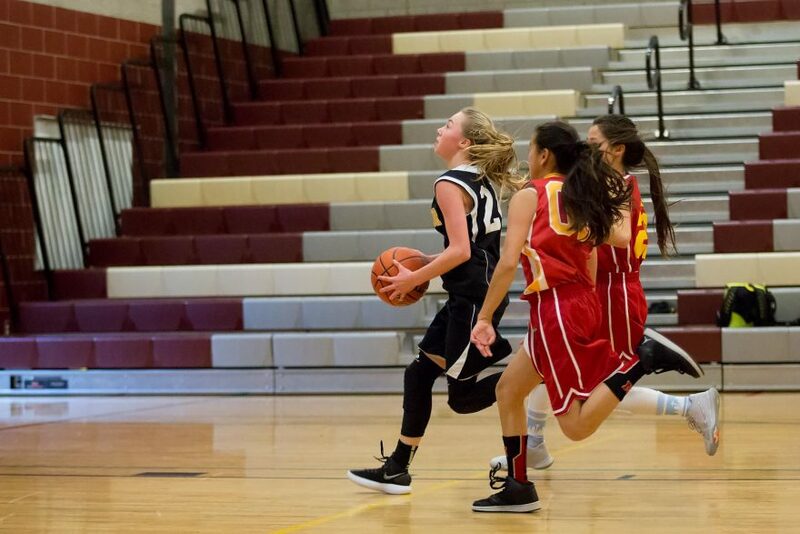 Jarred awake by the surge, the Knights answered with five points to Inglemoor’s two over the next four minutes, bringing the score to 8-6. 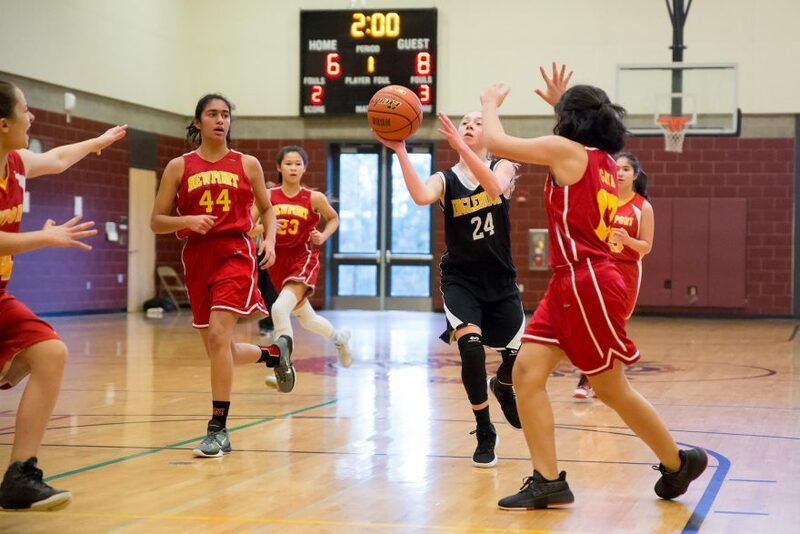 In the minute before the end of the quarter, hard-fought defense of both sides led to three more points from free-throws and a score of 10-7 at the quarter’s close. 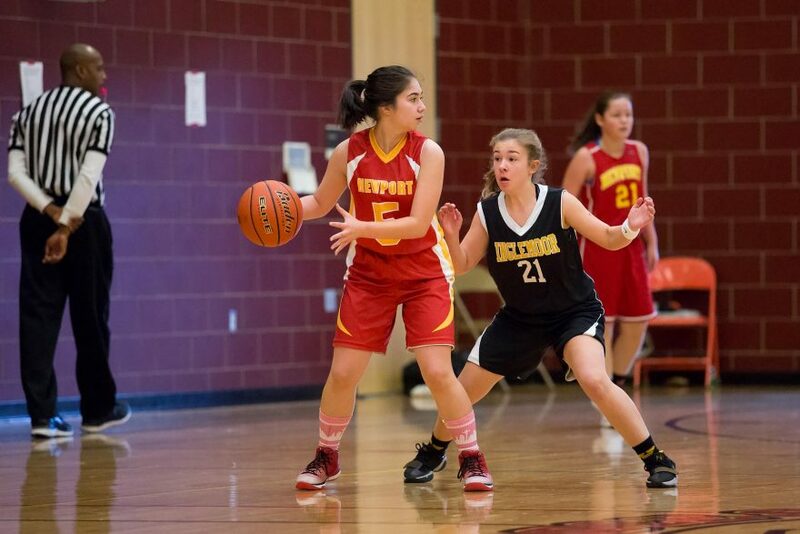 In the second quarter Newport played ferocious defense. 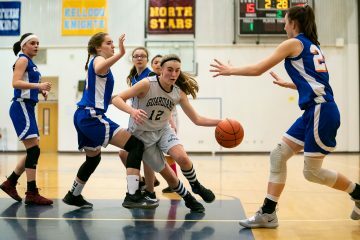 With only 7 seconds left before halftime, they had held the Vikings to only three additional points while scoring nine of their own. 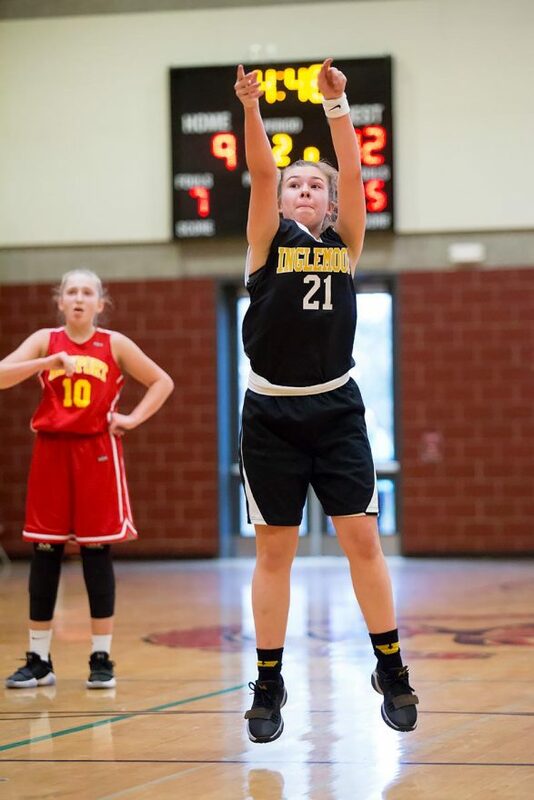 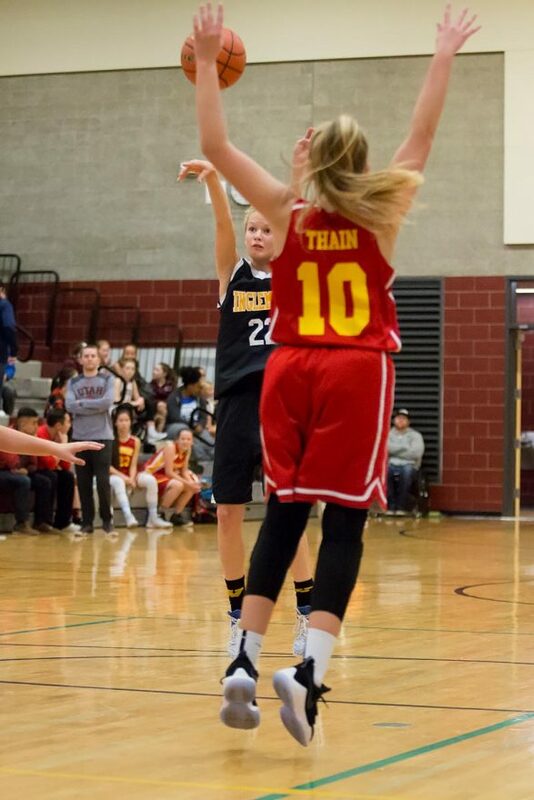 Though Inglemoor hit one free-throw in the final seconds, they went into halftime trailing 14-16. 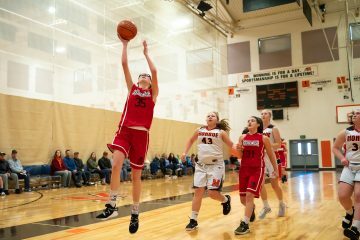 But when the buzzer marked the start of the second half, the Vikings left their benches with renewed energy and a new focus on ball movement, and the tide of the game turned. 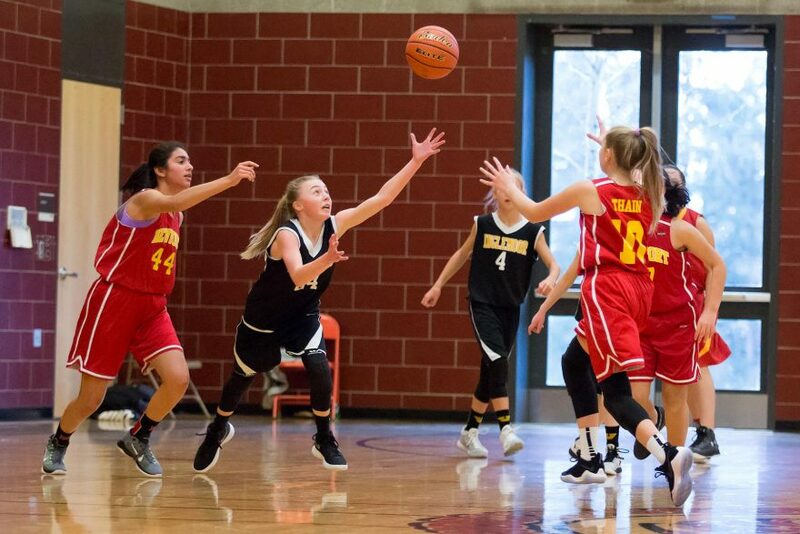 Matching their first quarter performance, they scored six points in the first two minutes, but they didn’t stop there. 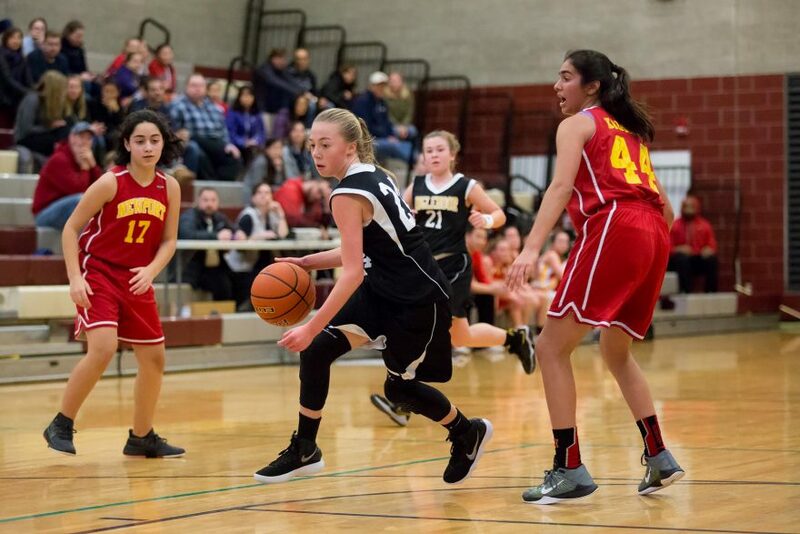 After three minutes, they had scored another seven points, and by the end of the quarter, they had scored another eight, leading the Knights 35-22. 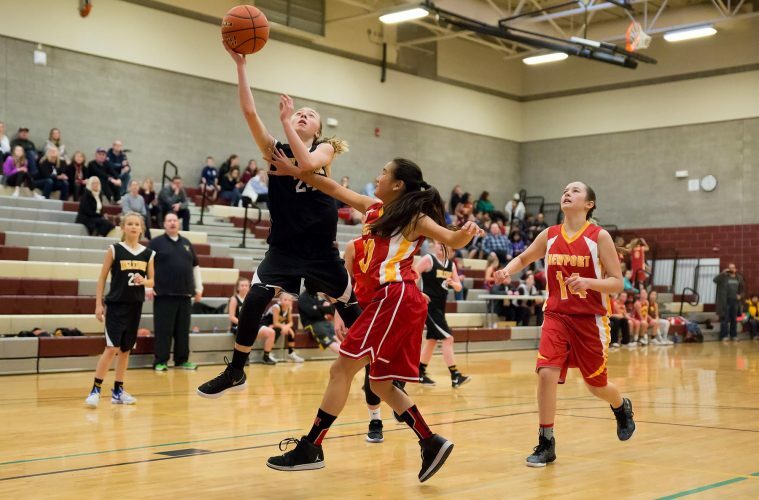 The fourth quarter brought more of the same, peppered with fast-break layups. 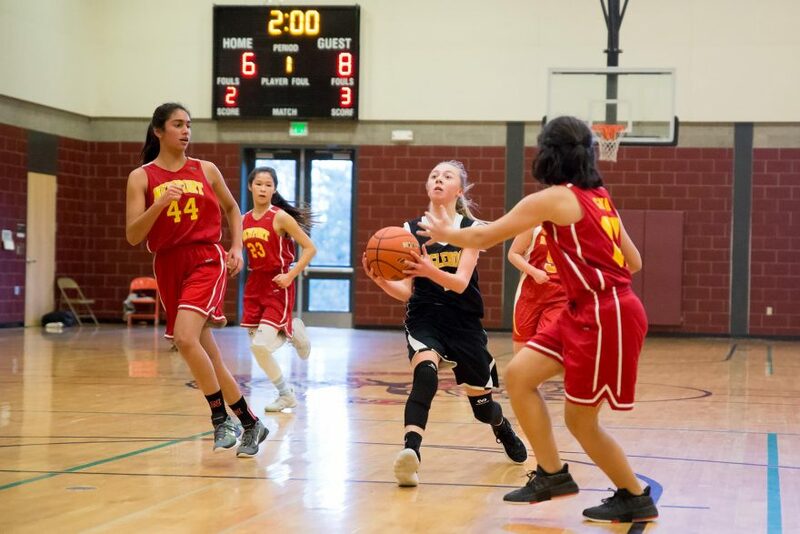 Through the first three minutes of the quarter, each team added two points to their totals, but then Inglemoor broke loose, pulling out to a twenty point lead at 46-26 with two minutes remaining in the game. 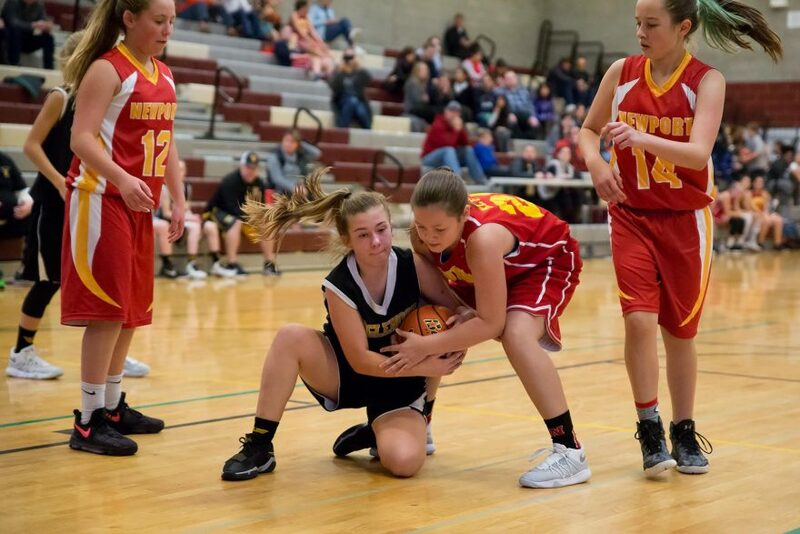 Newport did not give up, holding onto their pride while holding the Vikings to zero points in the final minutes of the game. 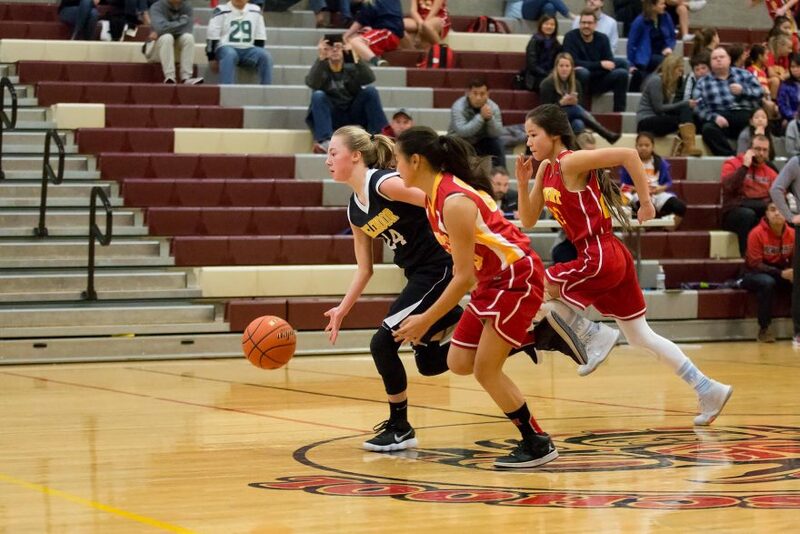 Final score: 46-26, Inglemoor Vikings.